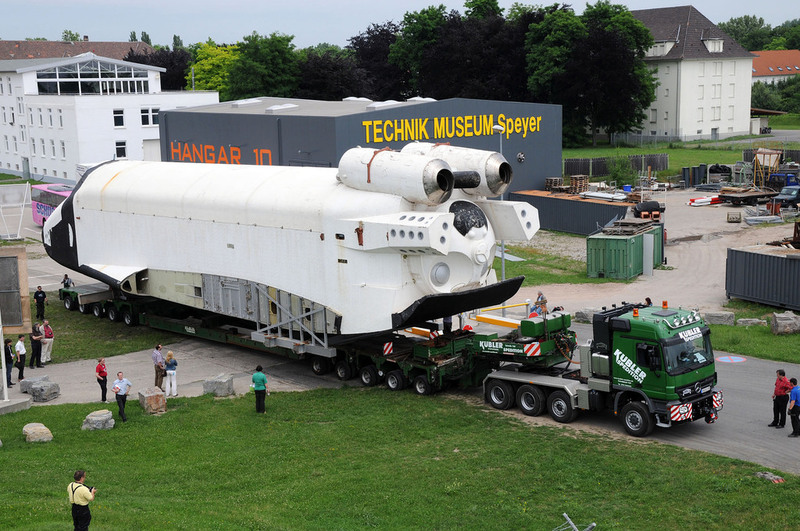 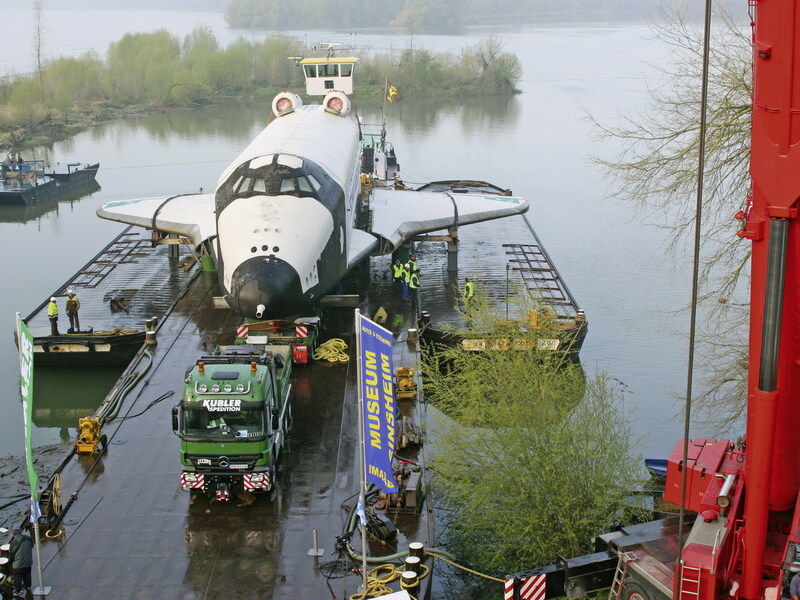 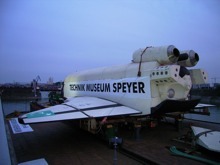 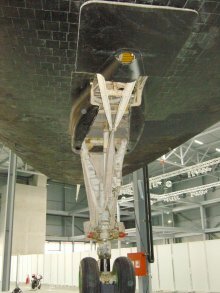 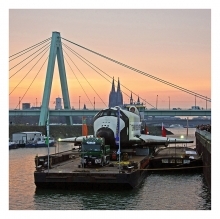 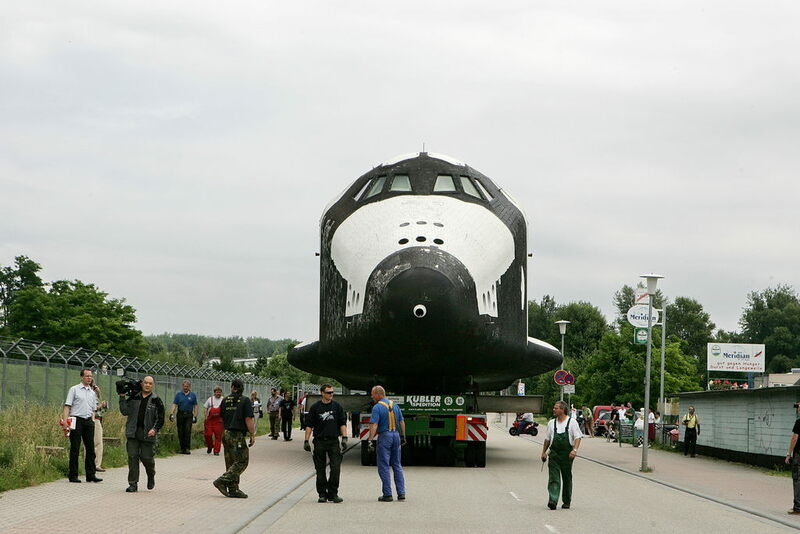 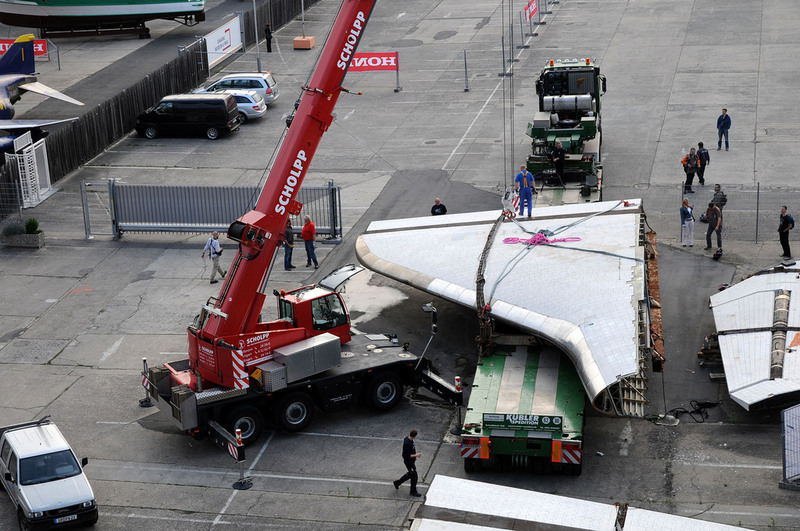 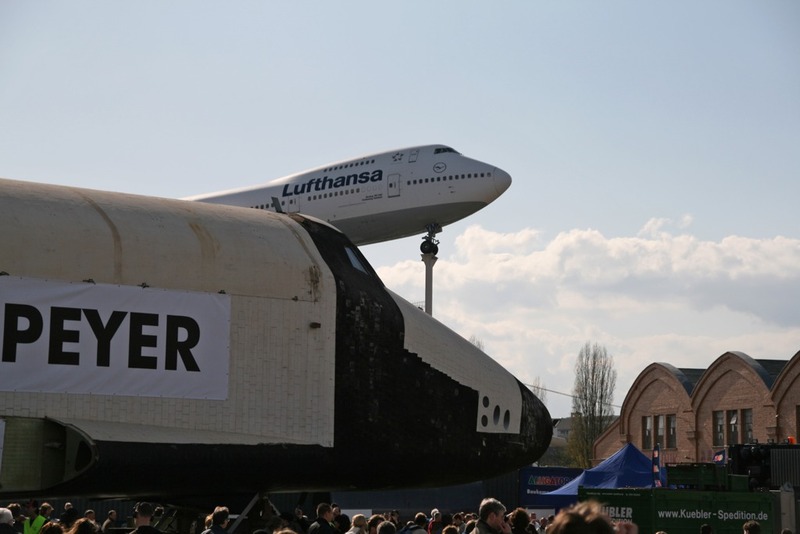 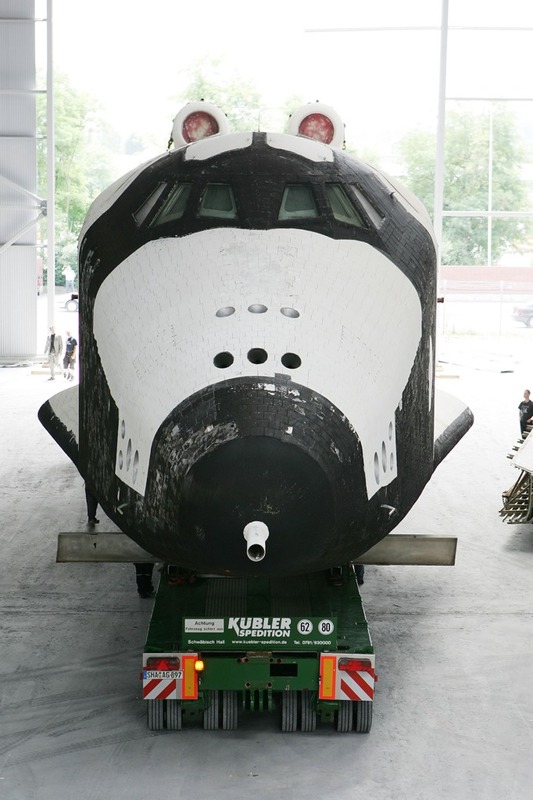 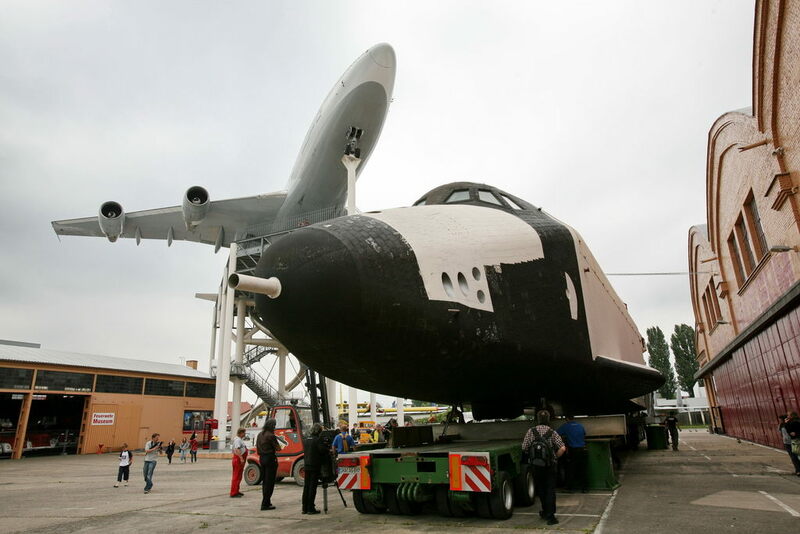 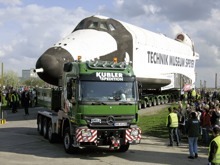 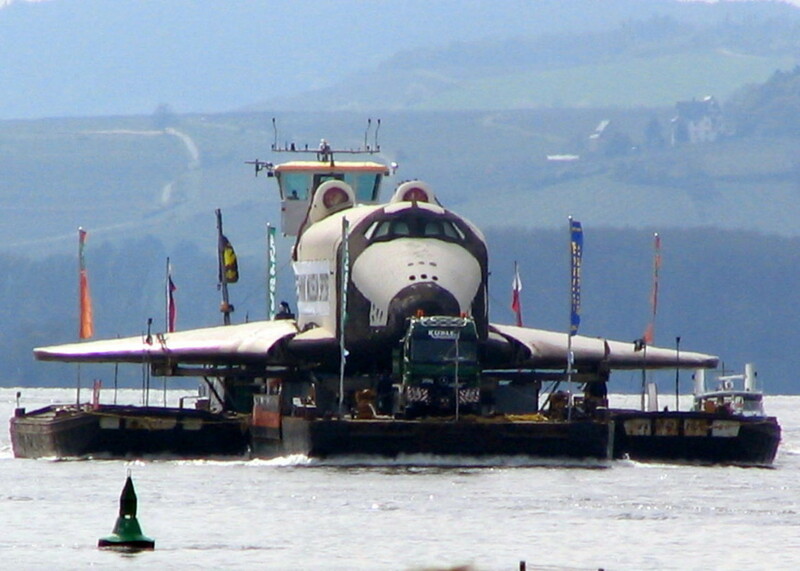 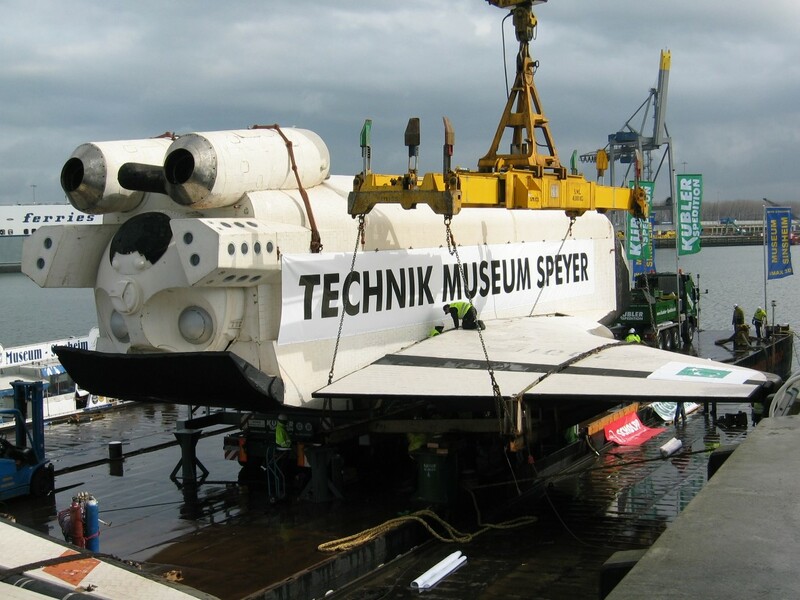 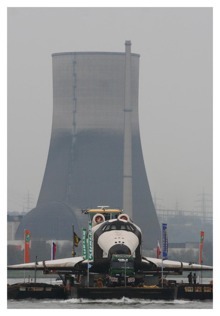 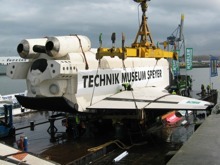 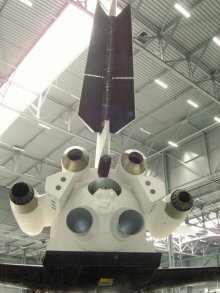 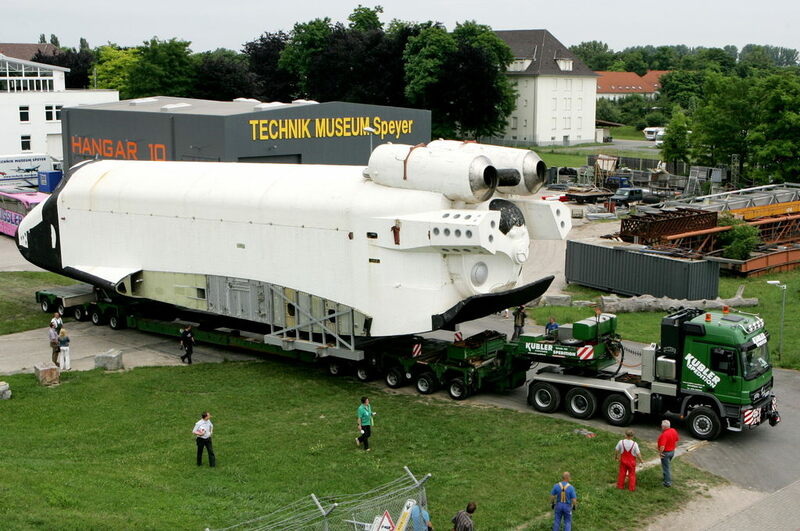 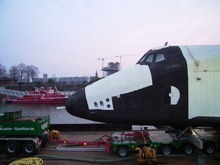 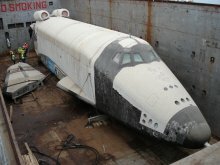 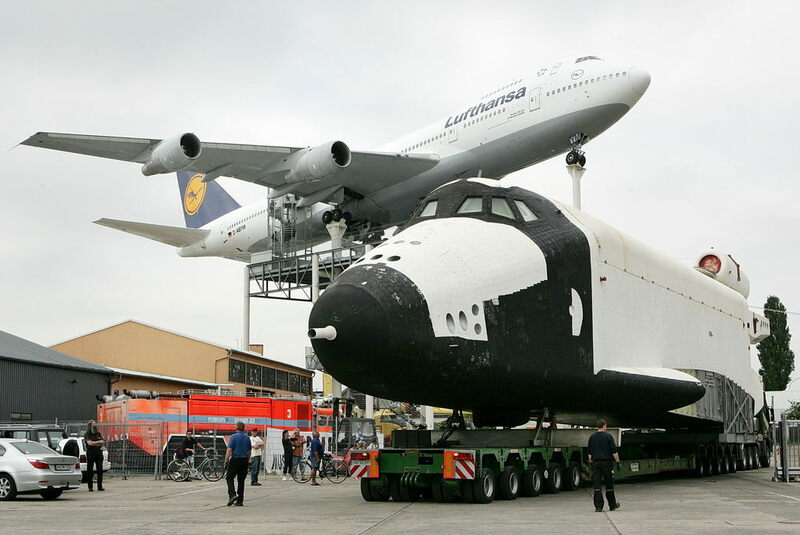 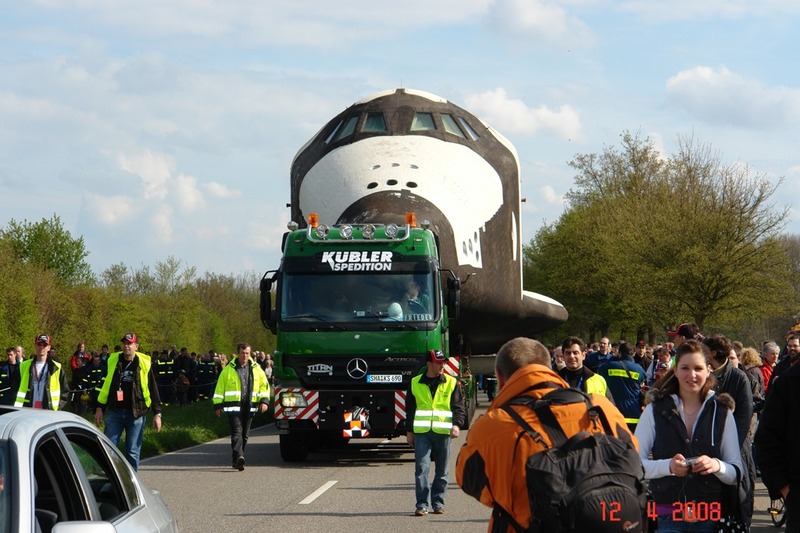 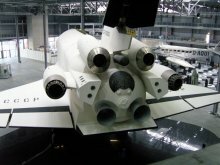 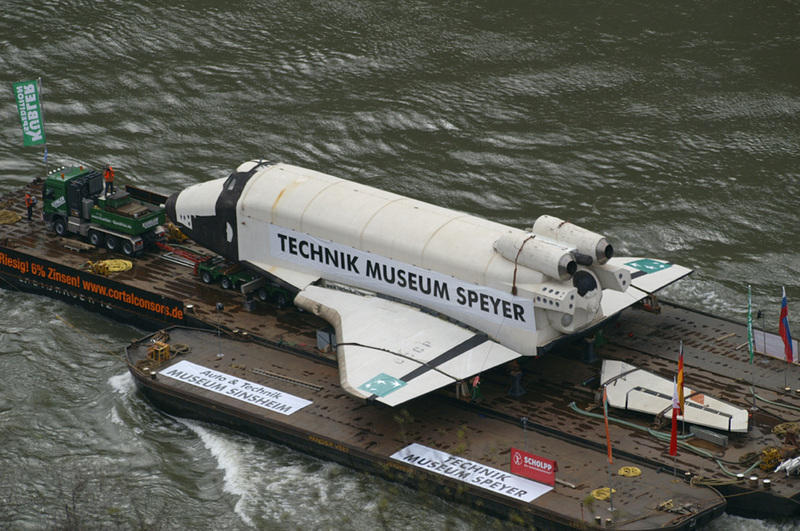 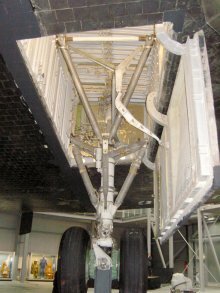 The Sinsheim/Speyer museum acquired the shuttle at the end of 2004 after the failure of the exhibition of Sydney. 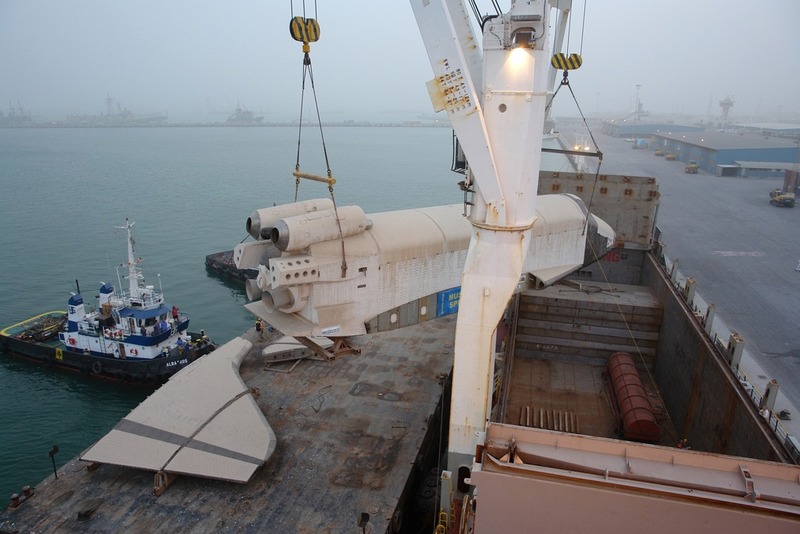 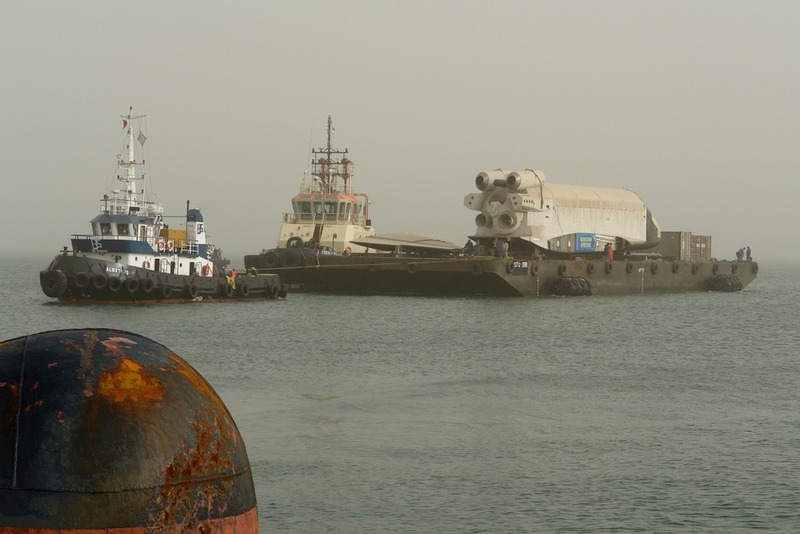 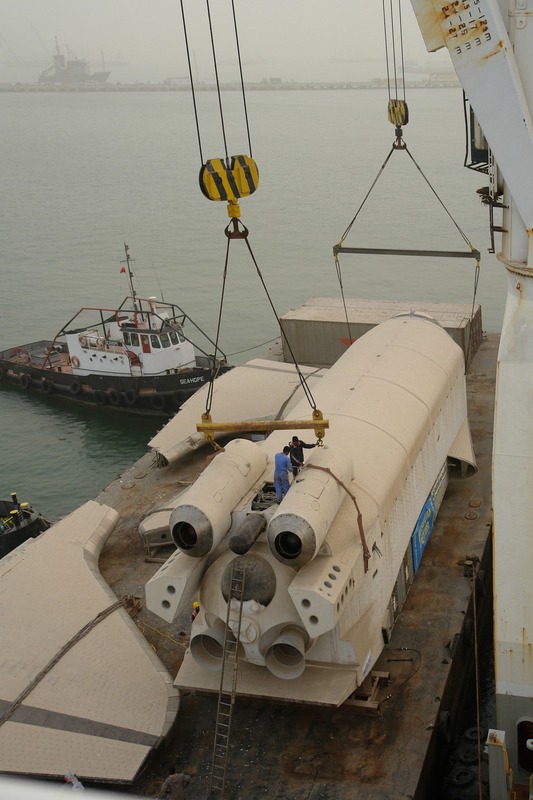 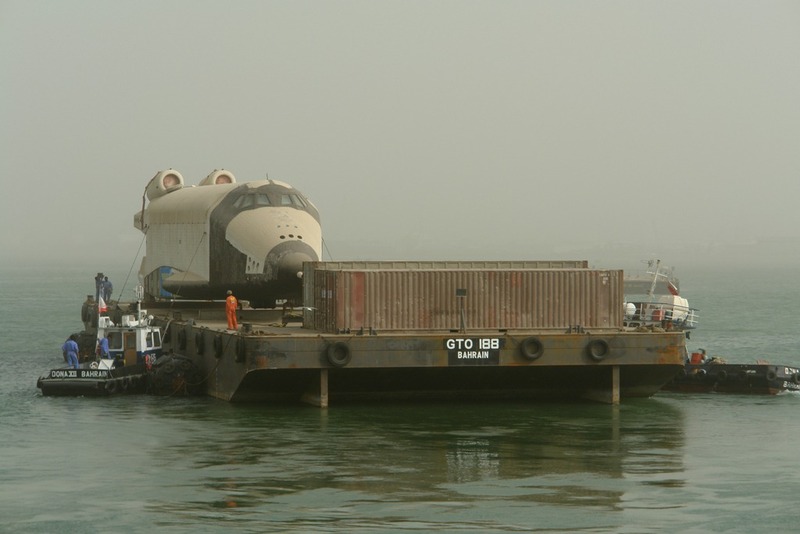 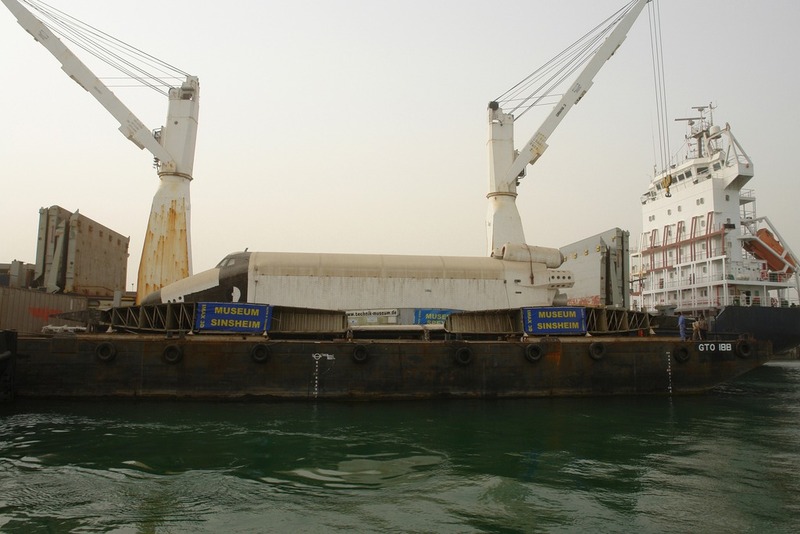 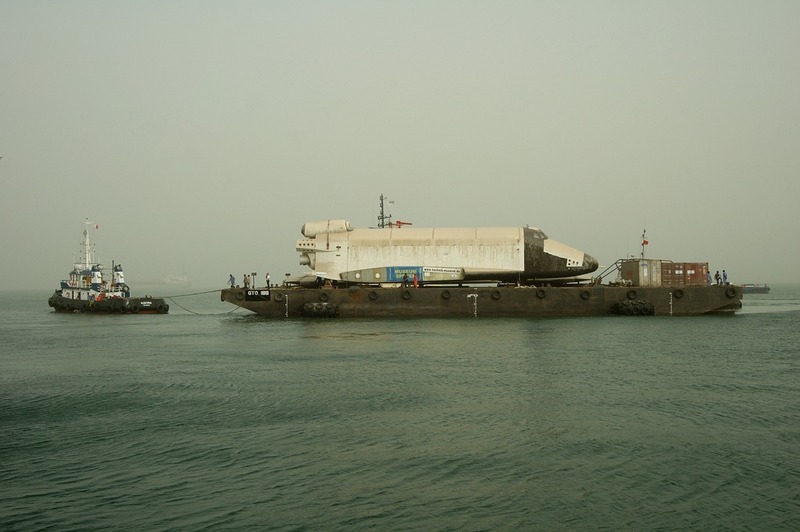 But, due to a conflict between the museum, NPO Molniya and the organizer of the Hong Kong's exhibition ("Space Shutlle 2007") the shuttle couldn't leave Bahrain. 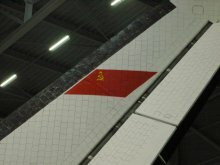 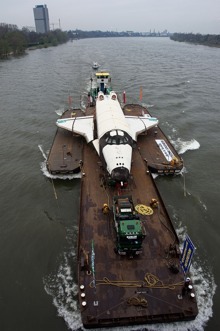 Indeed, the Molniya company had tried to sell the shuttle to several customers without success. 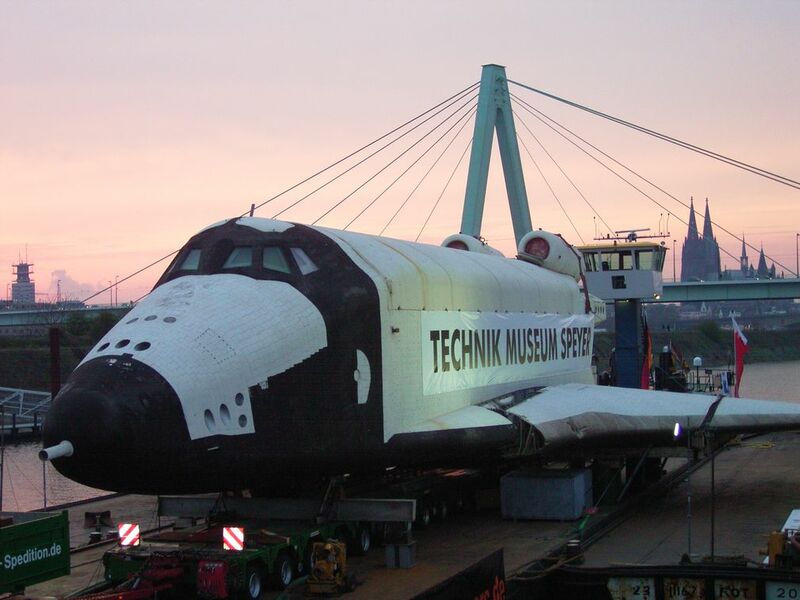 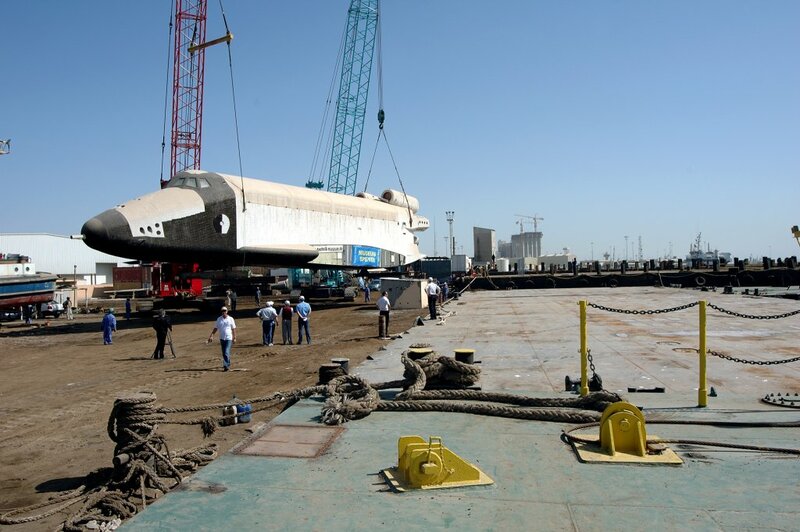 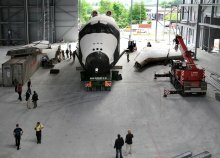 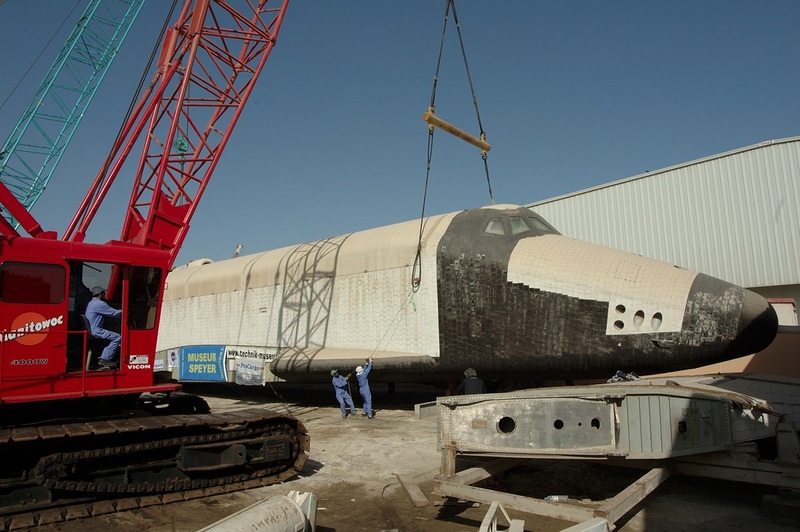 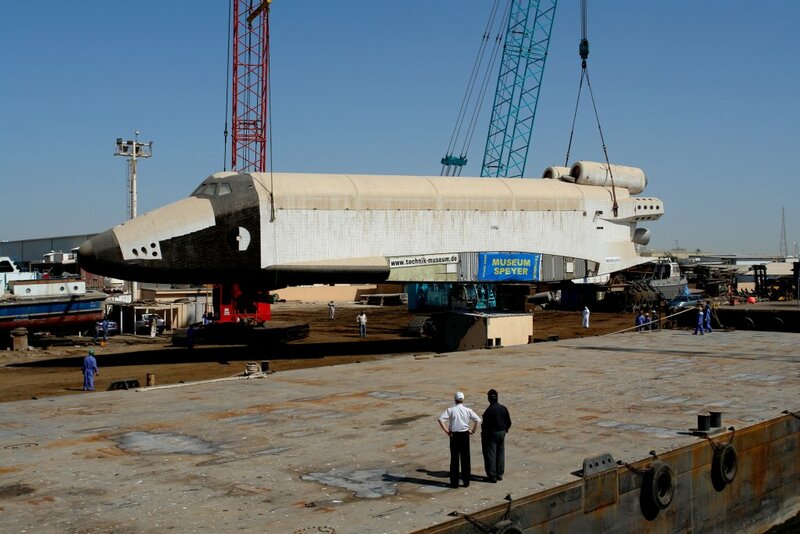 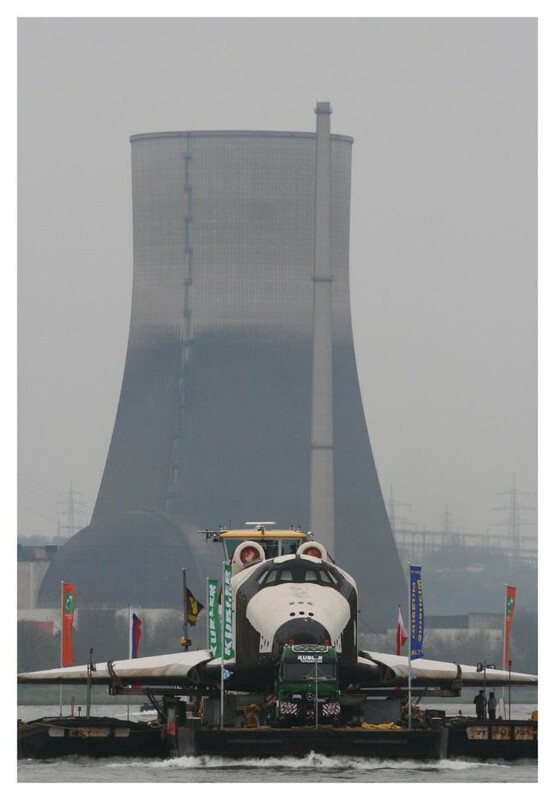 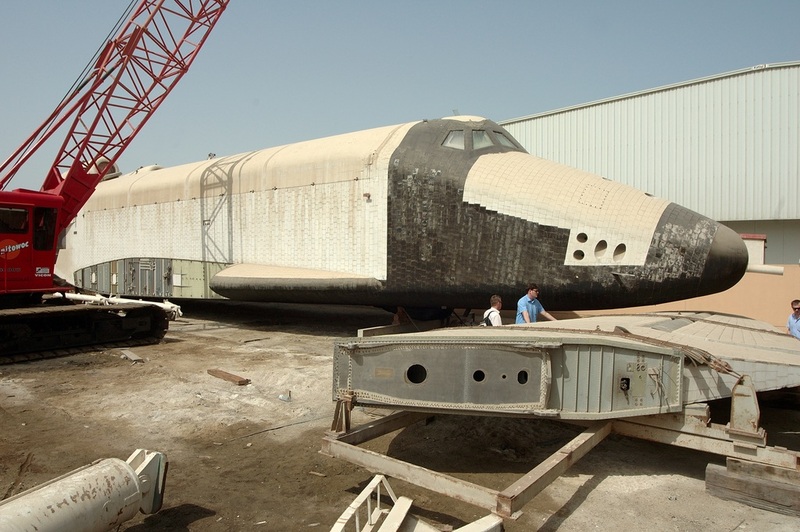 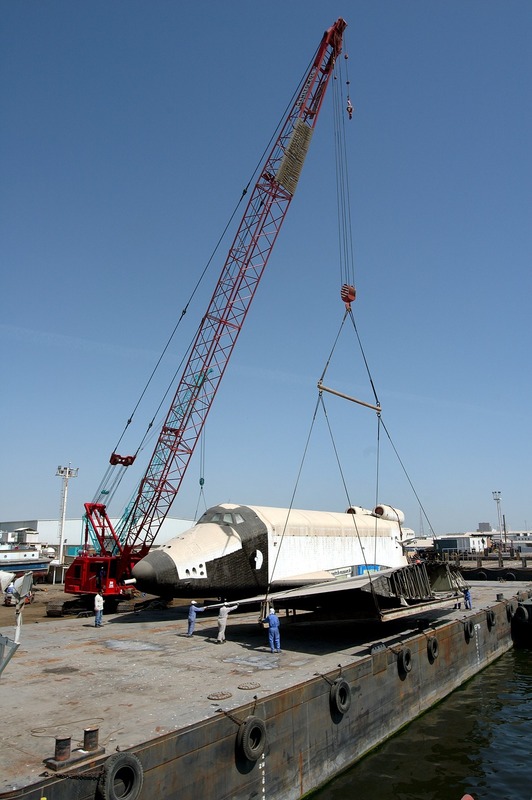 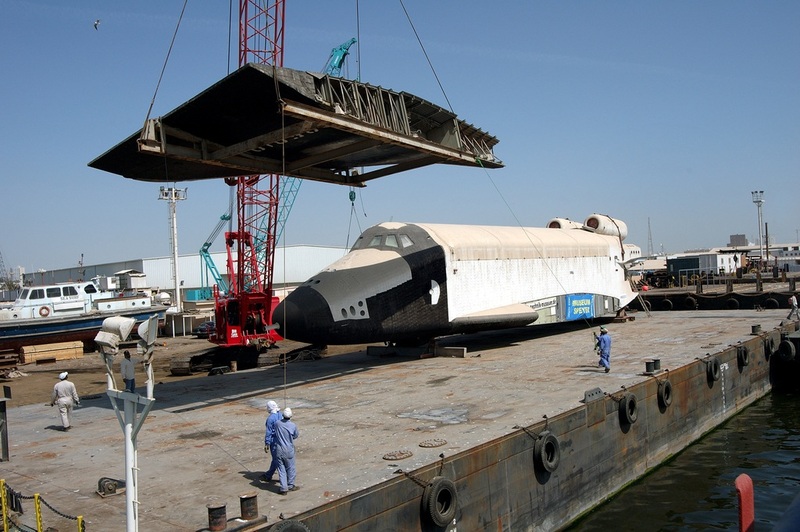 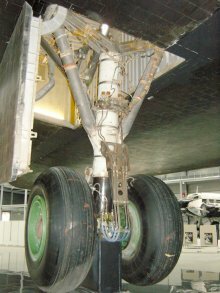 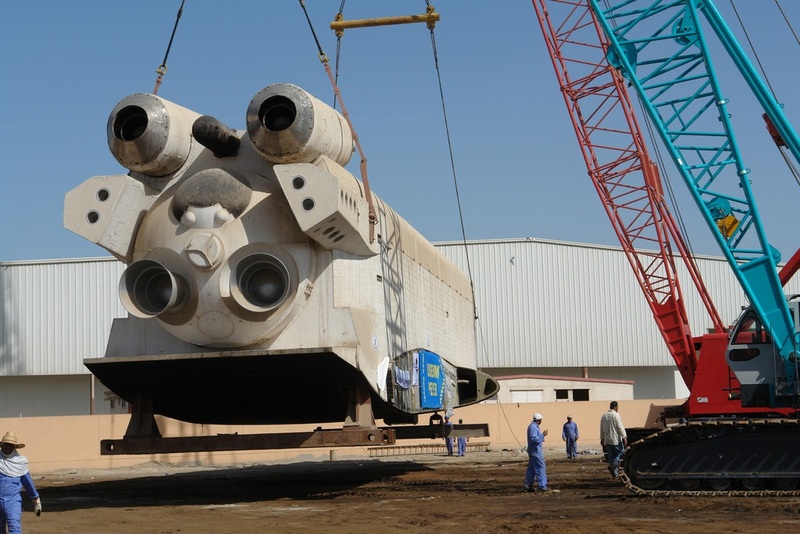 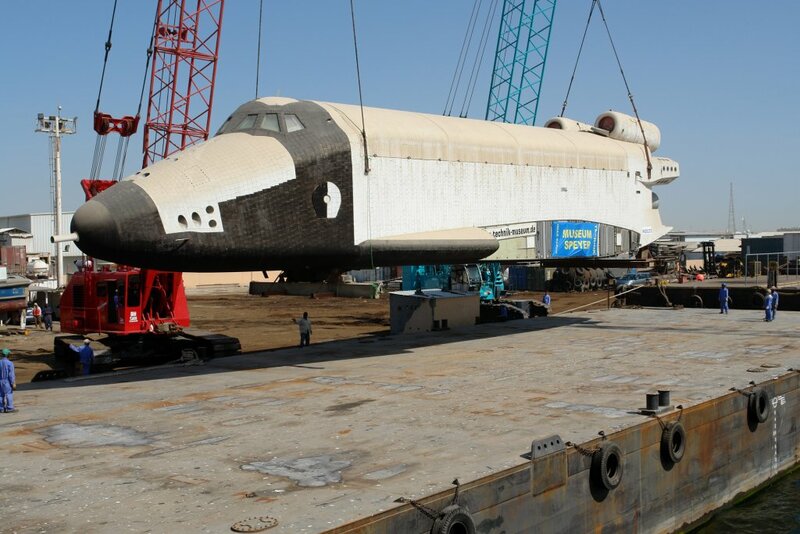 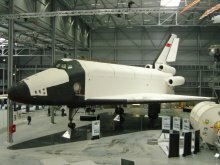 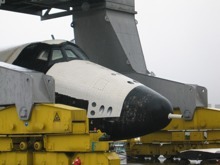 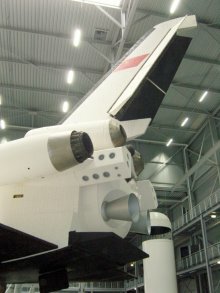 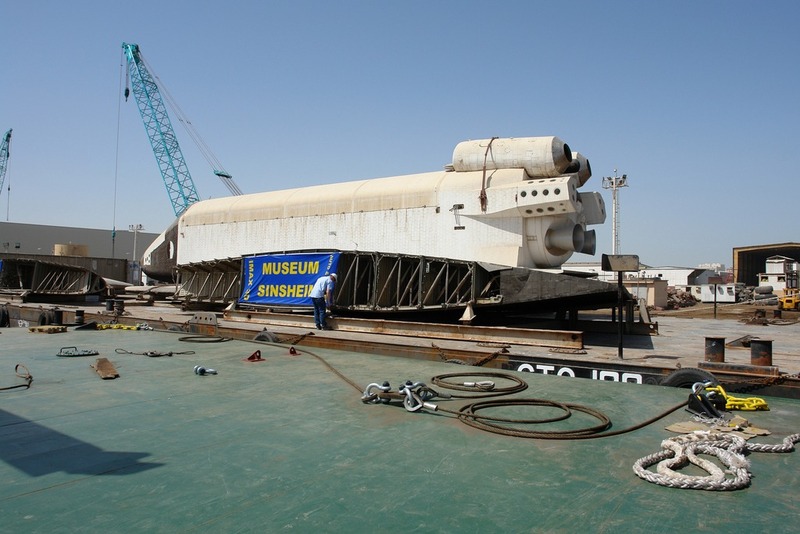 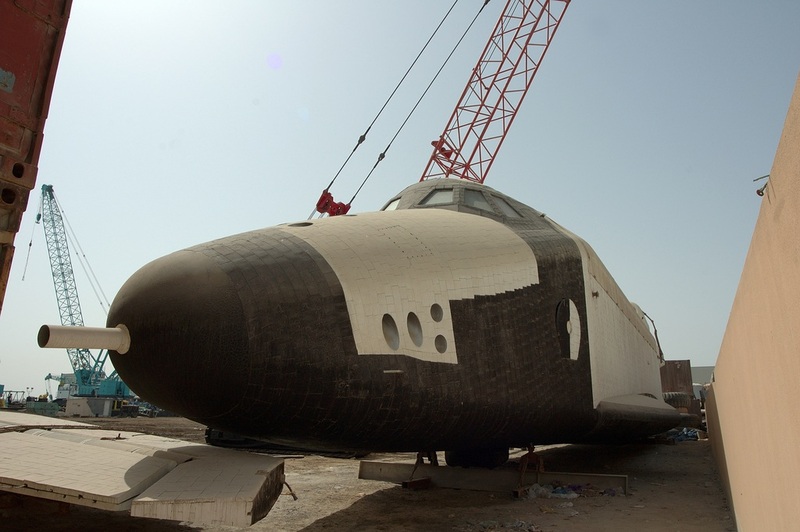 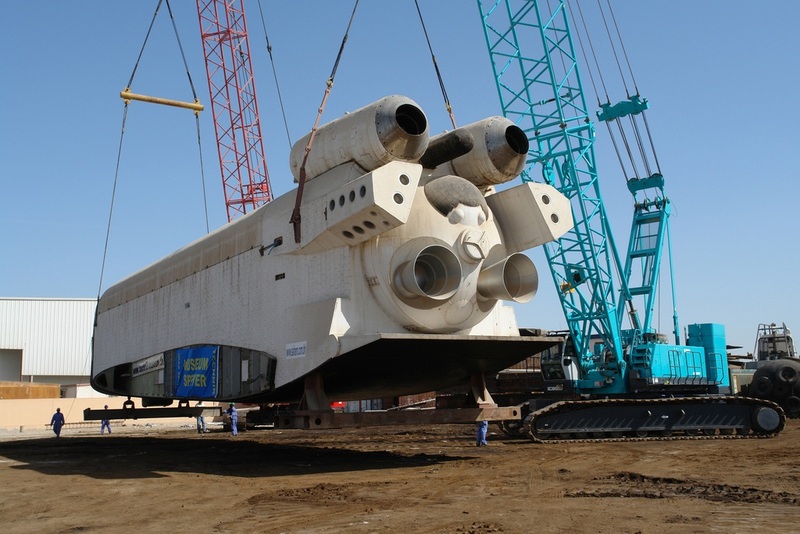 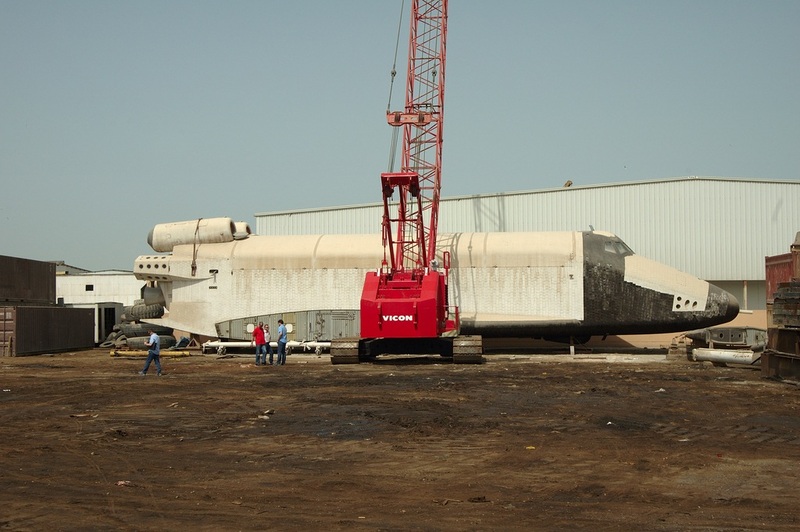 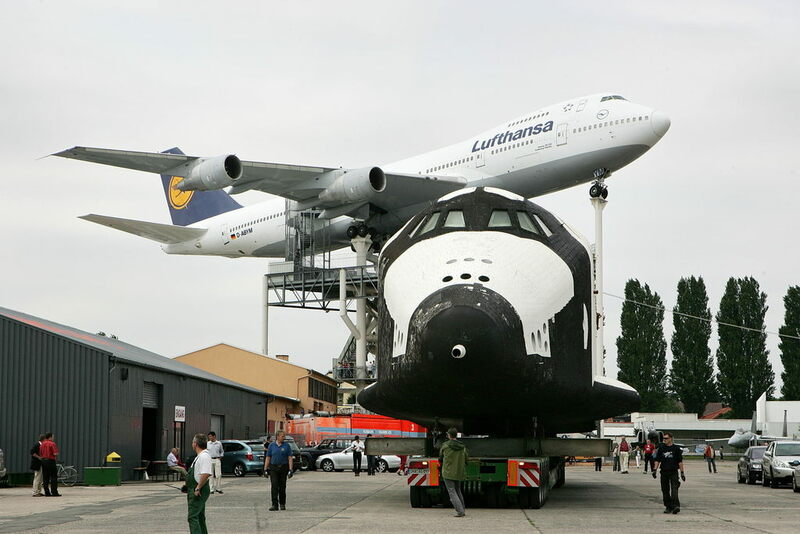 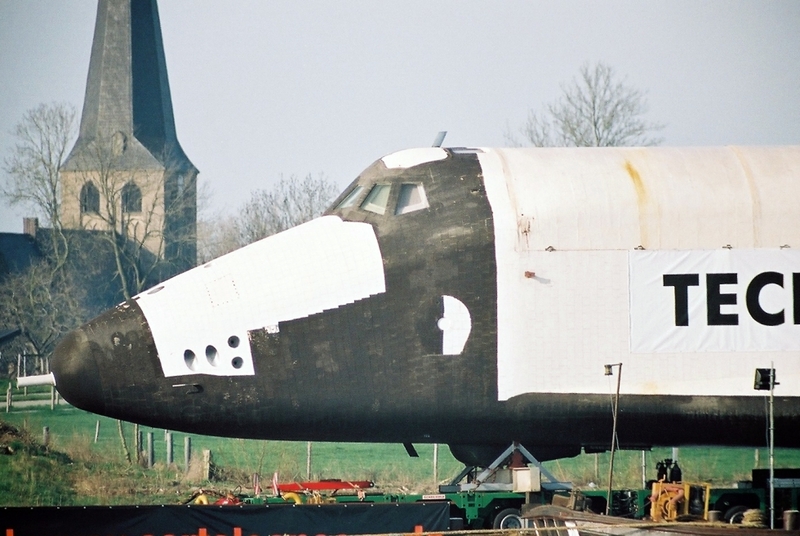 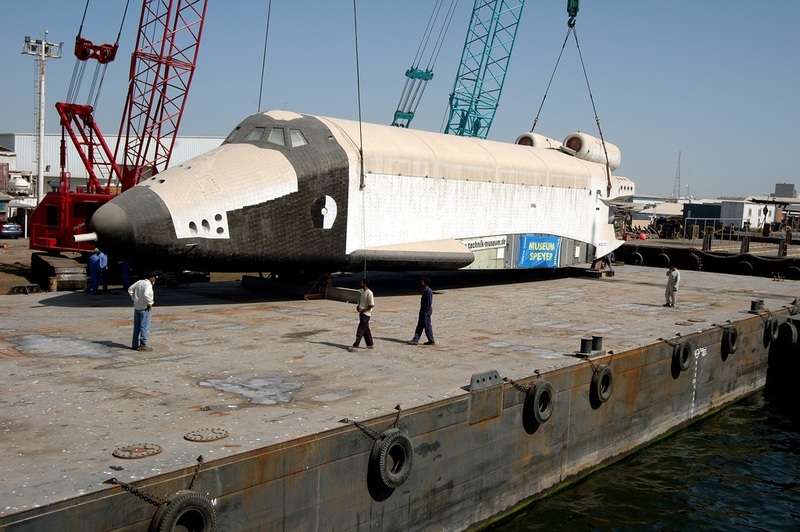 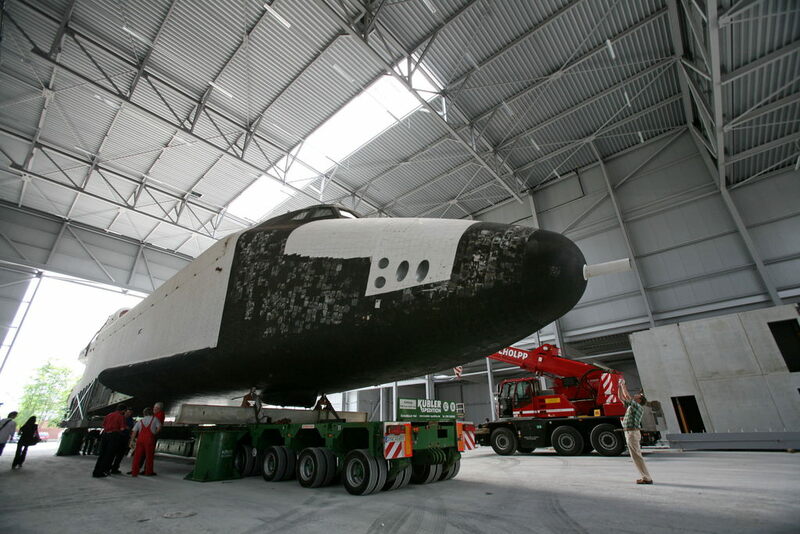 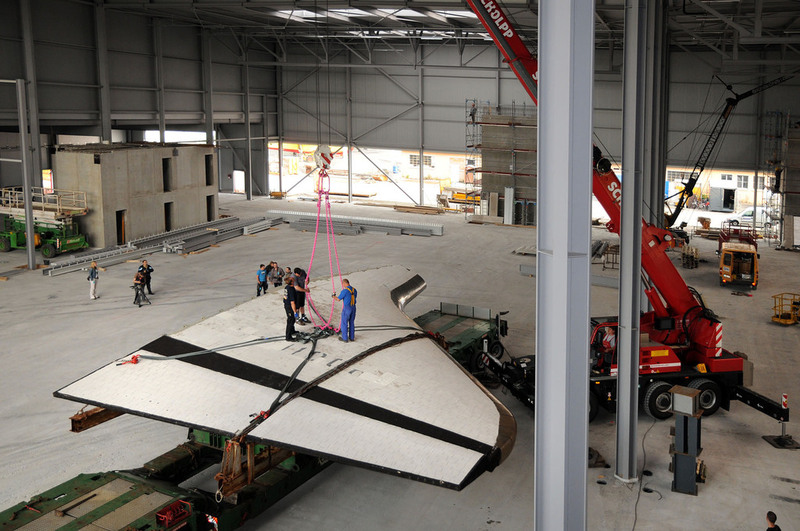 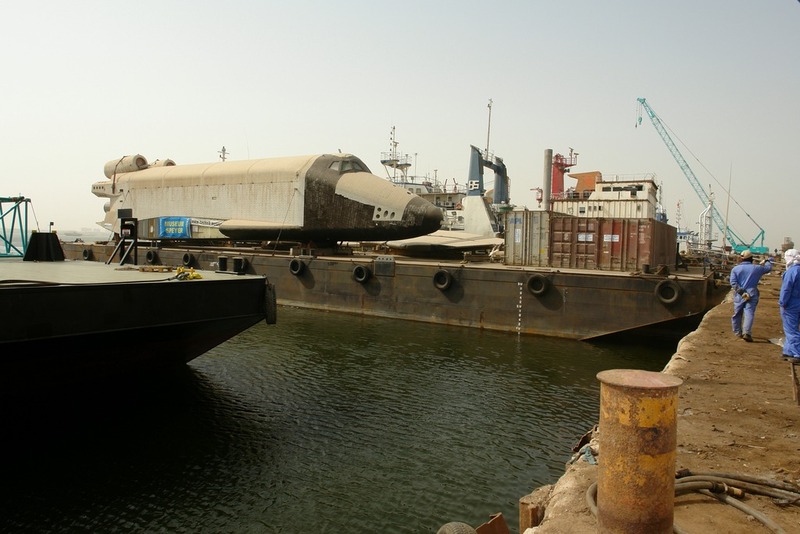 Since the end of 2006 NPO Molniya tried to repossess the shuttle in a legal way but finally the Bahrain's justice gave reason to the Sinsheim/Speyer museum which had already paid the shuttle. 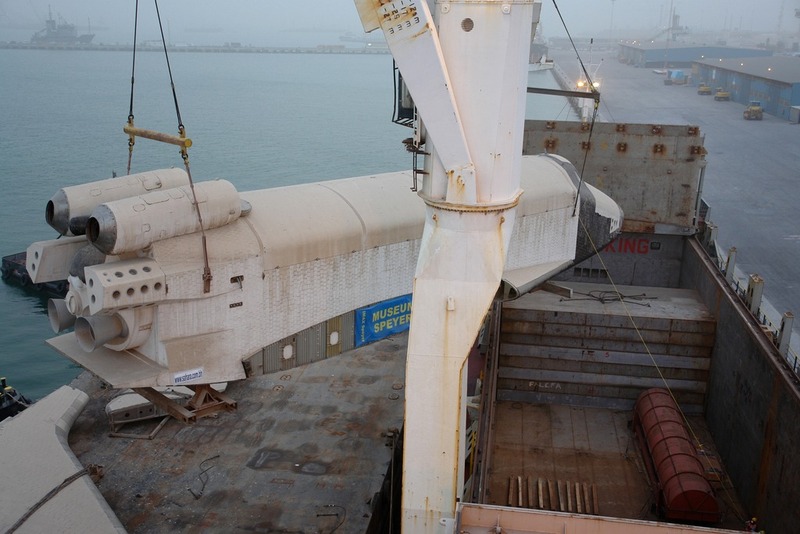 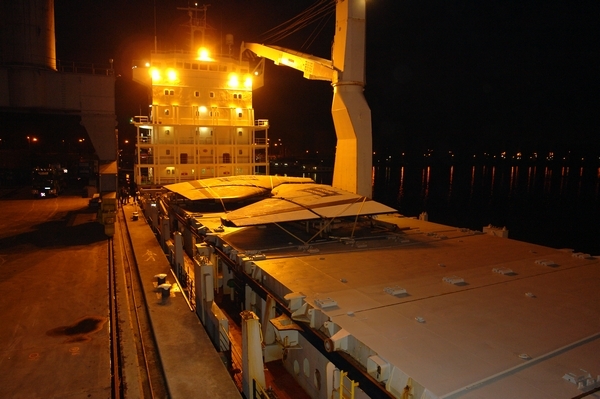 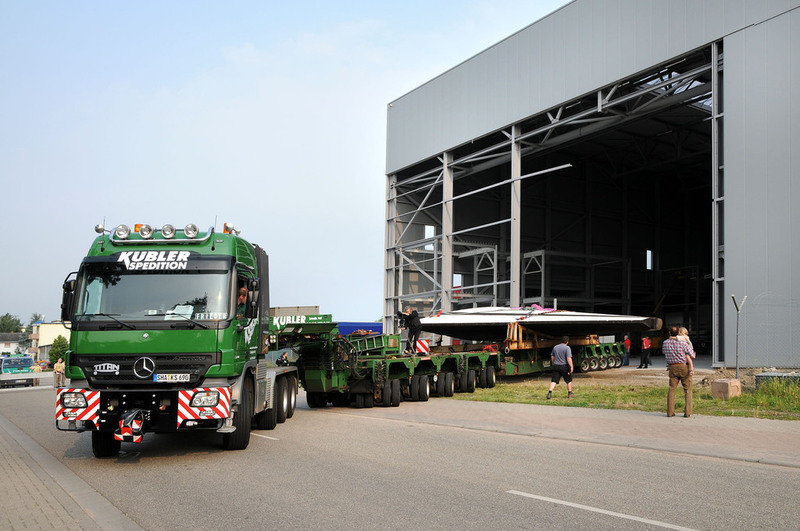 Pictures of the transport of OK-GLI from Barhain to Germany. 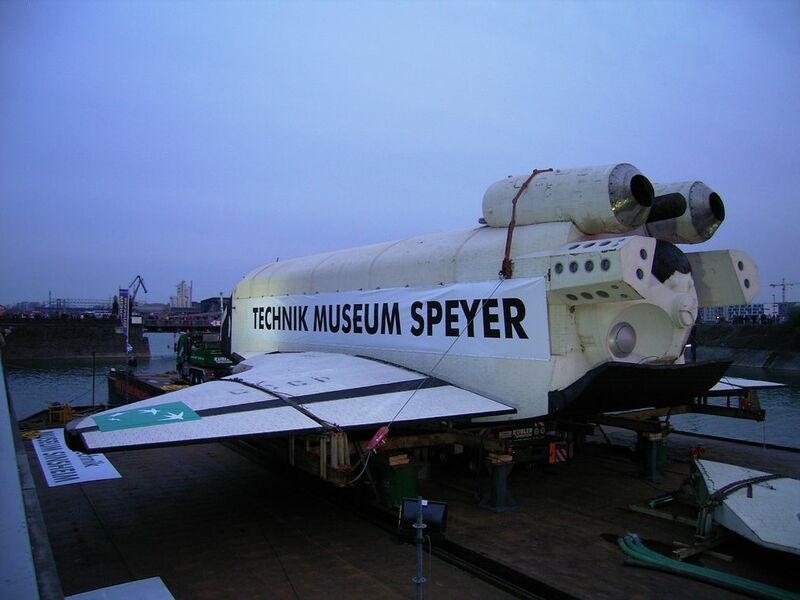 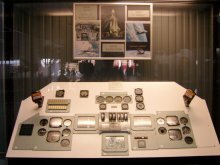 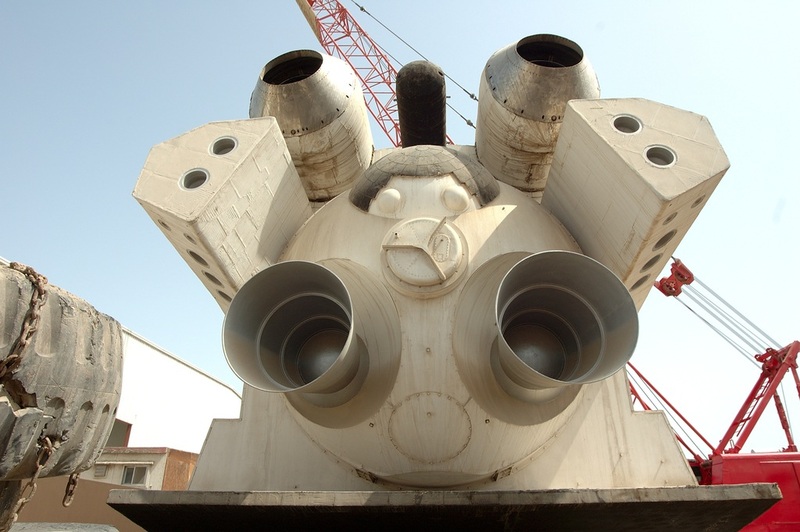 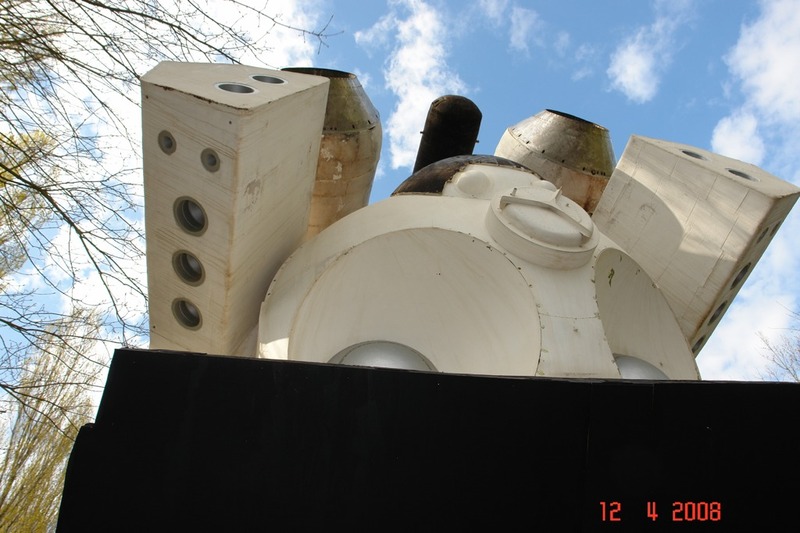 Website of the Sinsheim/Speyer museum. 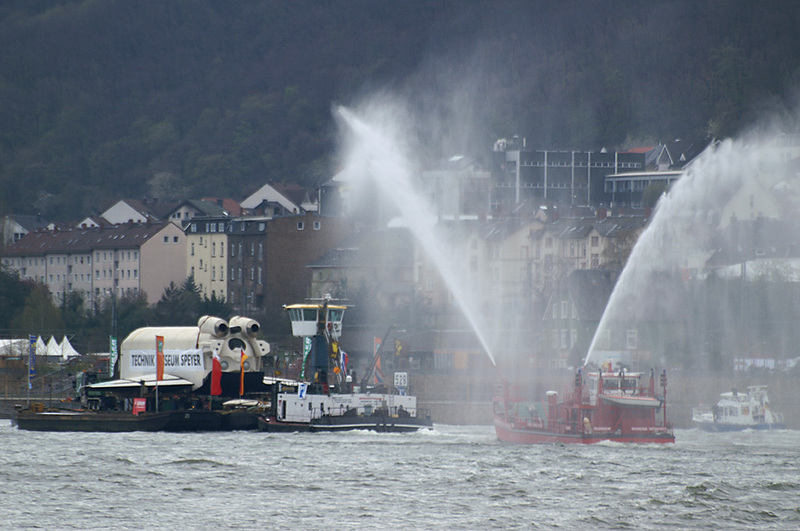 Pictures taken by Margrit Else-Haft, for a non-commercial use only. 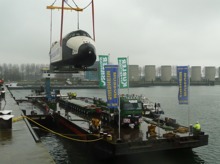 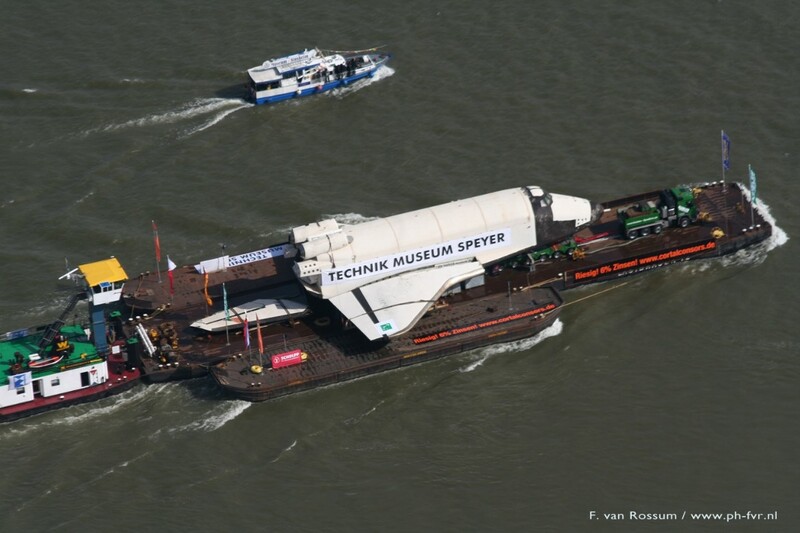 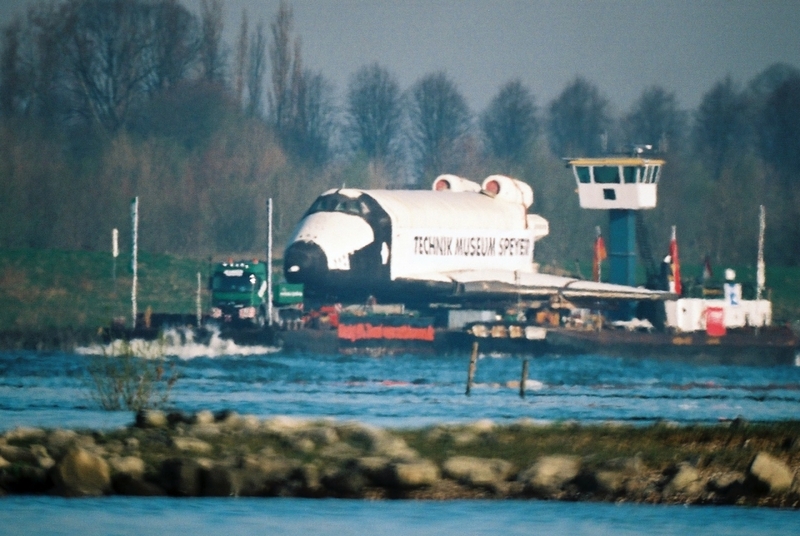 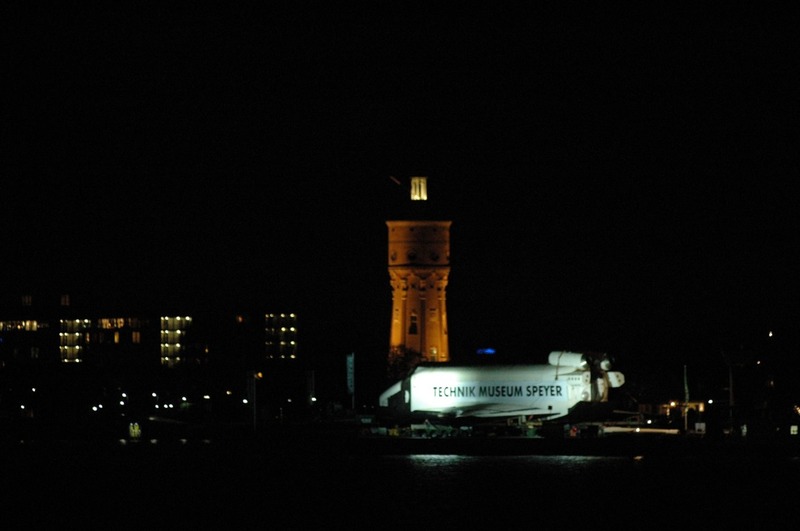 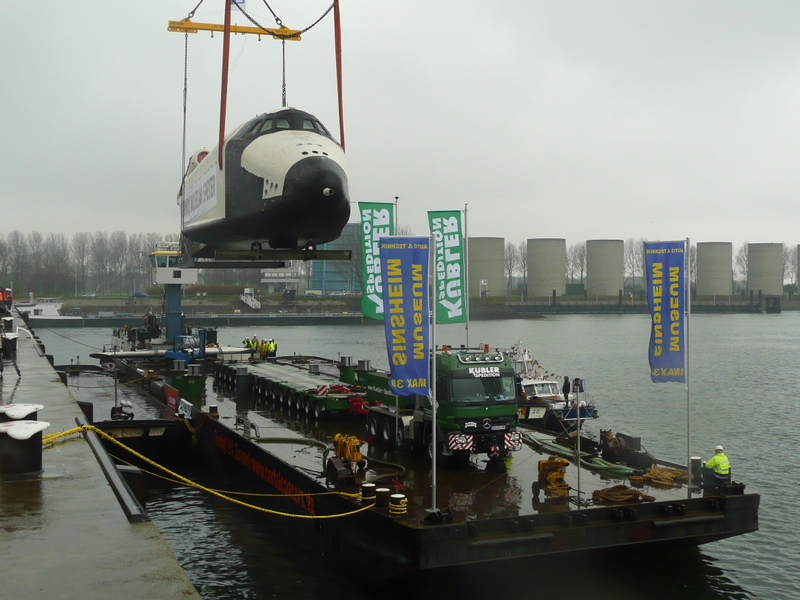 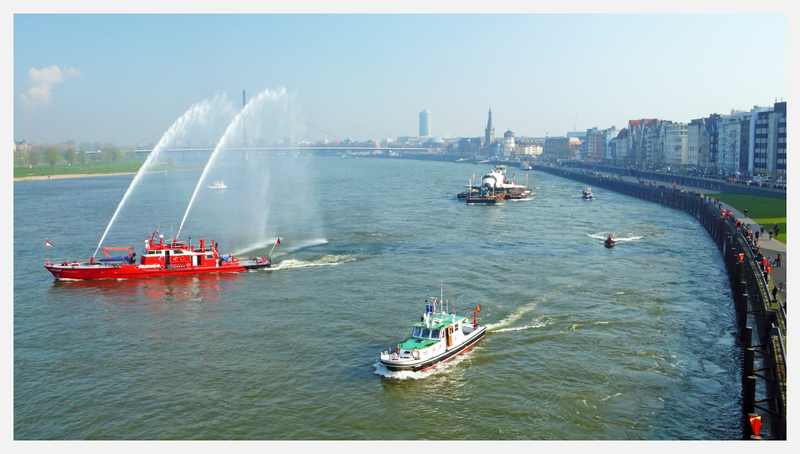 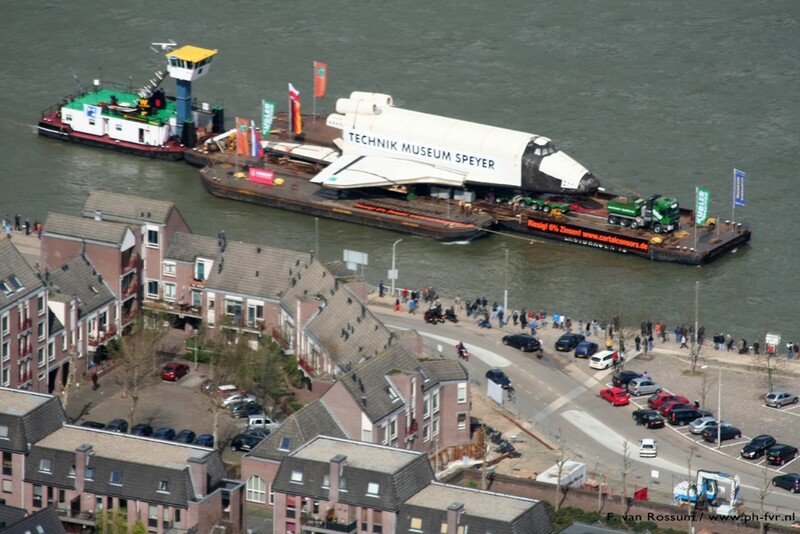 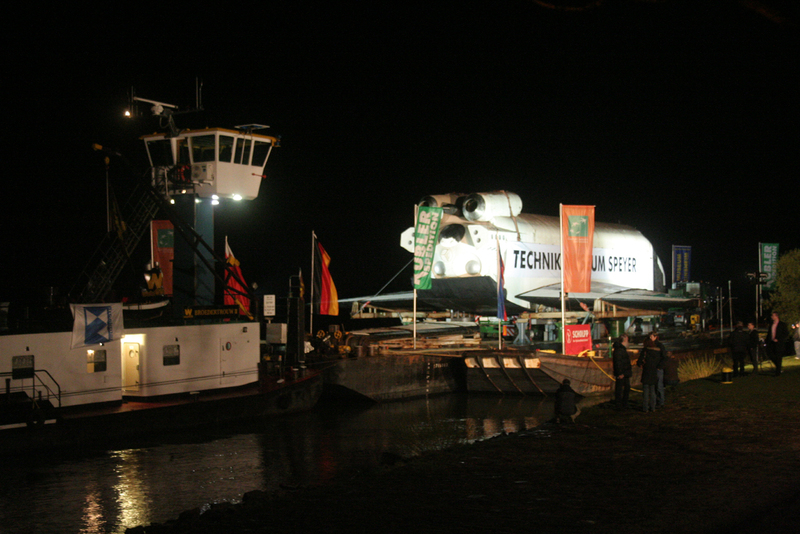 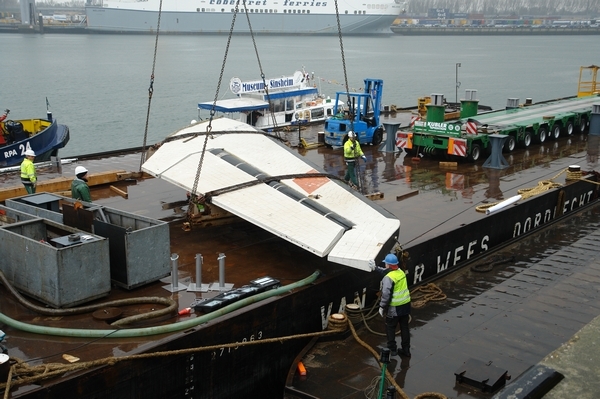 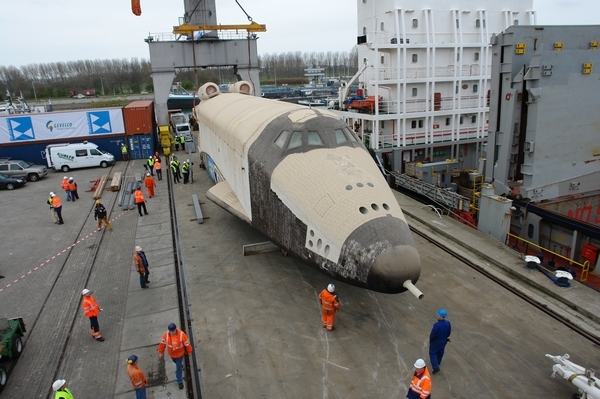 Arrival of the shuttle at Rotterdam and transport to the Speyer museum. 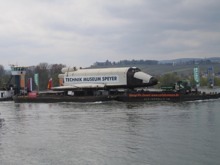 Here is the travel (in red) of the OK-GLI shuttle along the Rhine to Speyer. 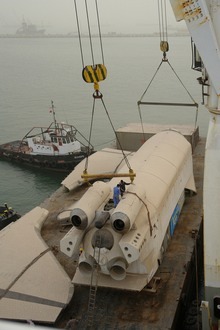 It was carried from thursday 3 to saturday 12 of April. 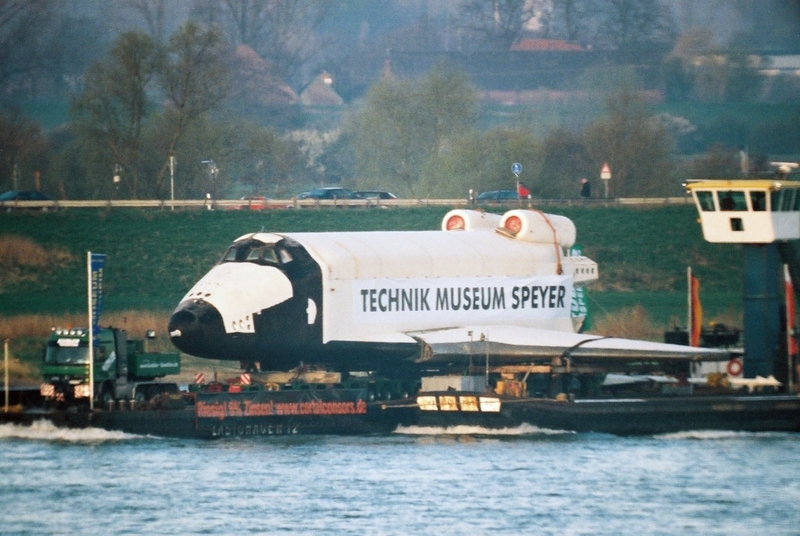 This transport was seen by thousands of people along the Rhine. 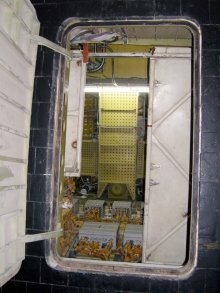 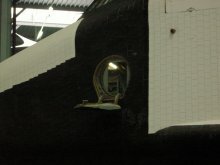 Pictures from the site Space Net. 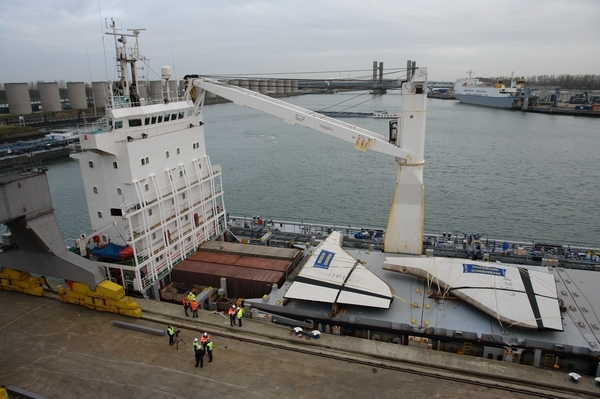 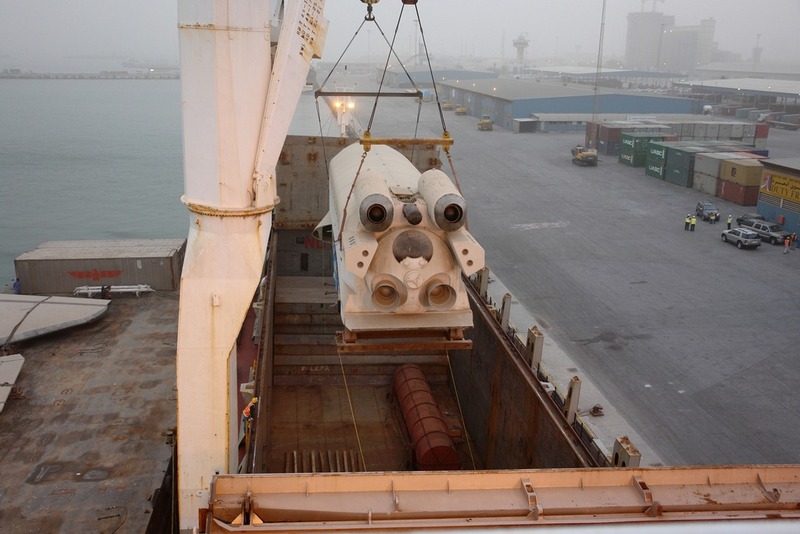 Wednesday, April 2: Arrival at the Rotterdam's port after the transport from Bahrain by special boat. 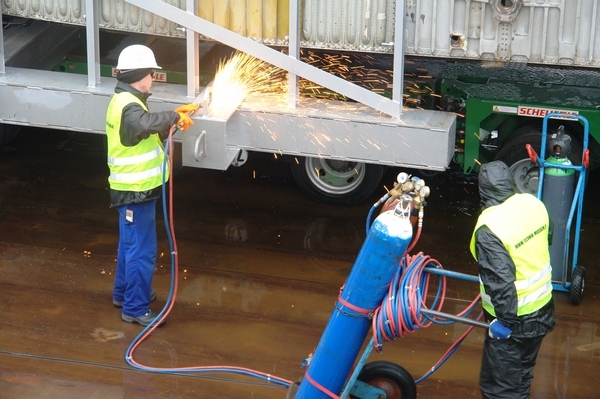 Then preparation for loading on the lighter. 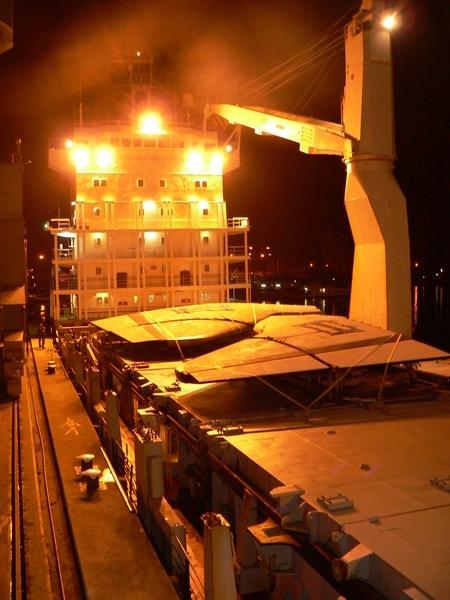 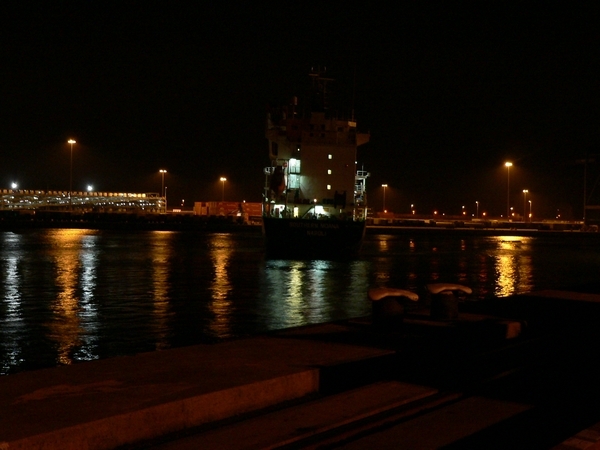 Saturday, April 5: Departure from Rotterdam on the lighter, arrival at the Dordrecht's port during the night. 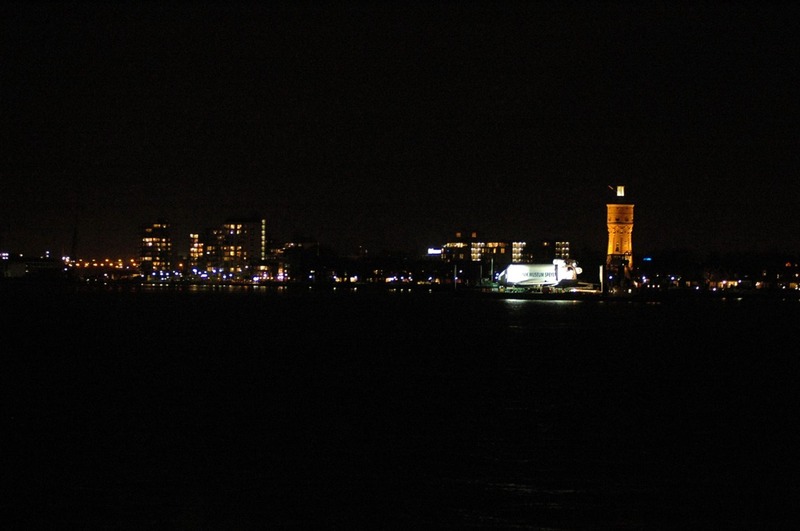 Sunday, April 6: Travel from Dordrecht to Millingen (Netherlands). 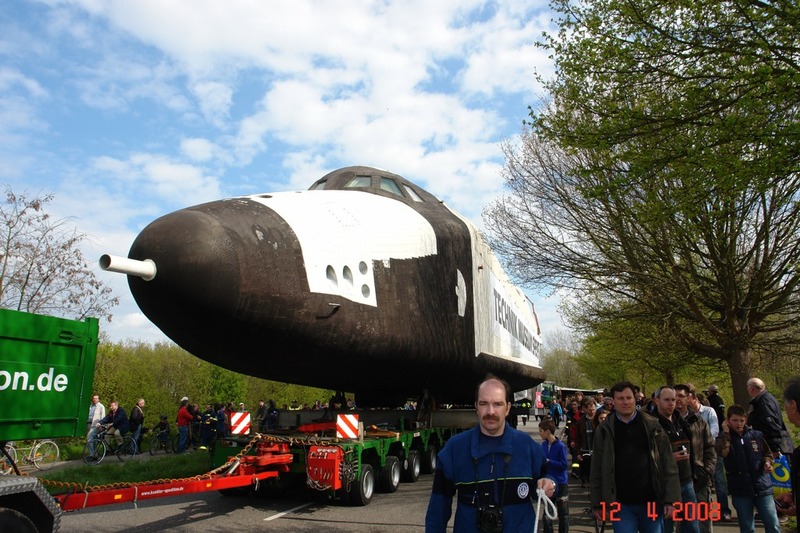 Monday, April 7: Travel from Millingen to Krefeld. 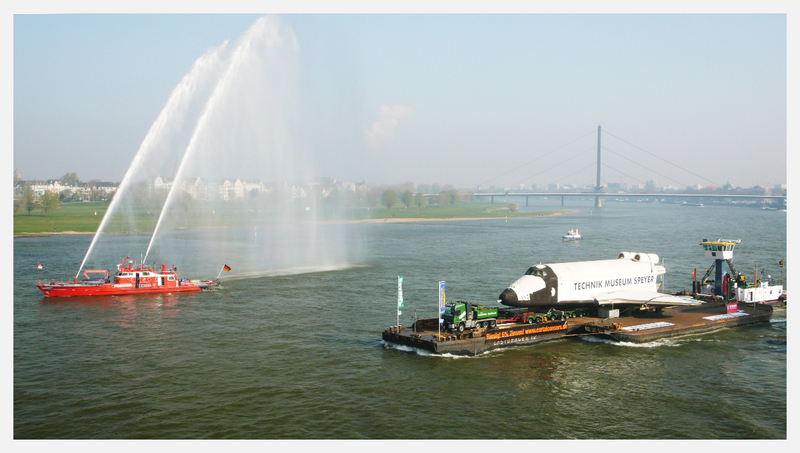 Tuesday, April 8: Travel from Krefeld to Cologne. 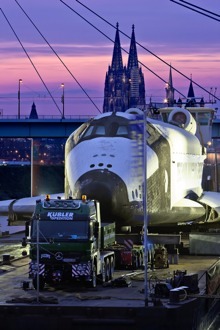 Wednesday, April 9: Travel from Cologne to Lahnstein (114km). 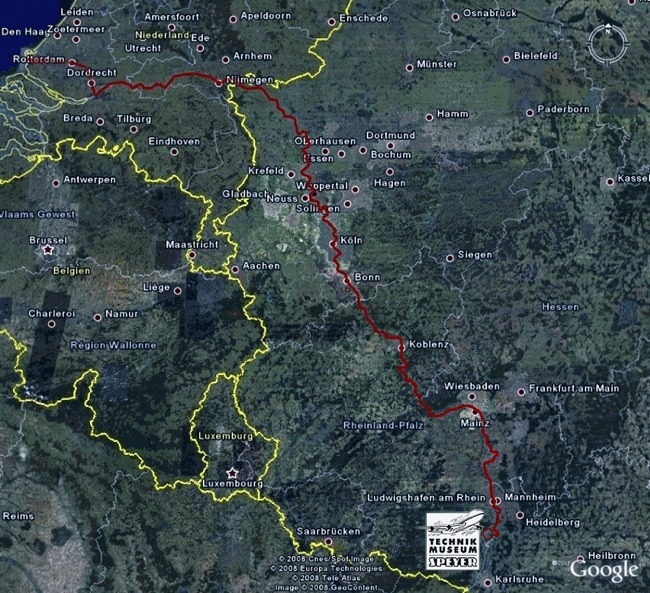 Thursday, April 10: Travel from Lahnstein to Nierstein. 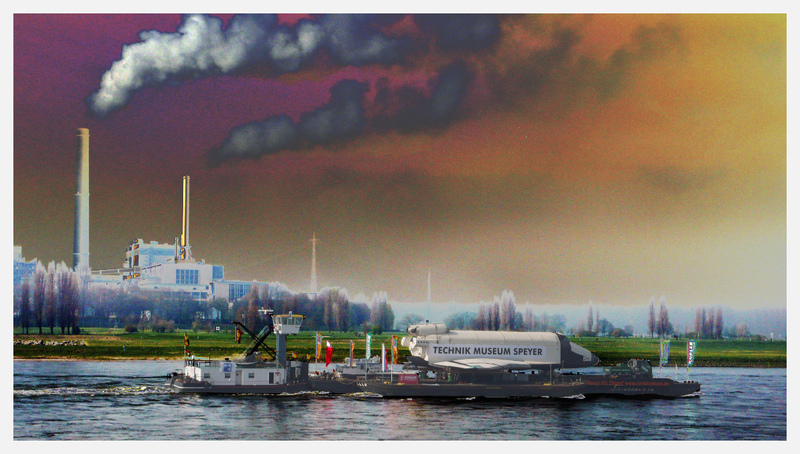 Friday, April 11: Travel from Nierstein to the Speyer's port. 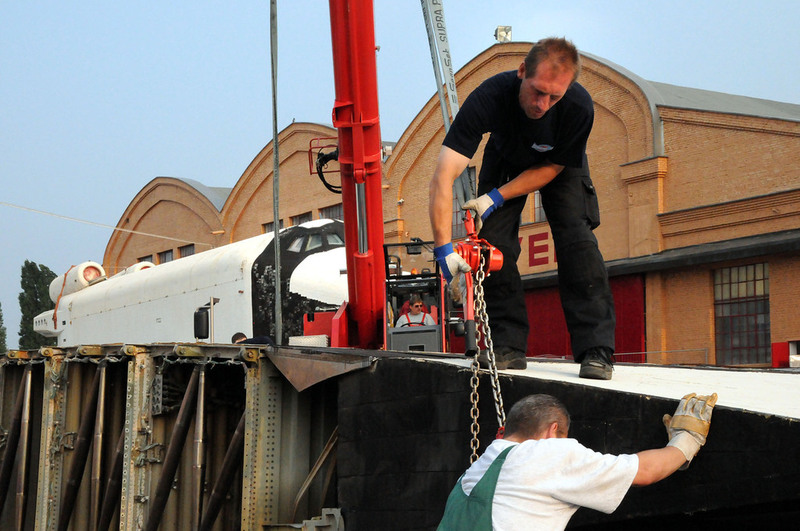 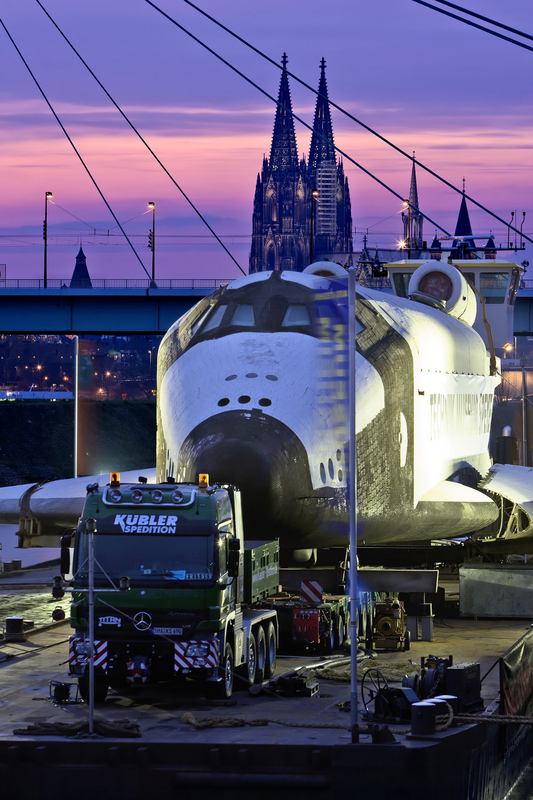 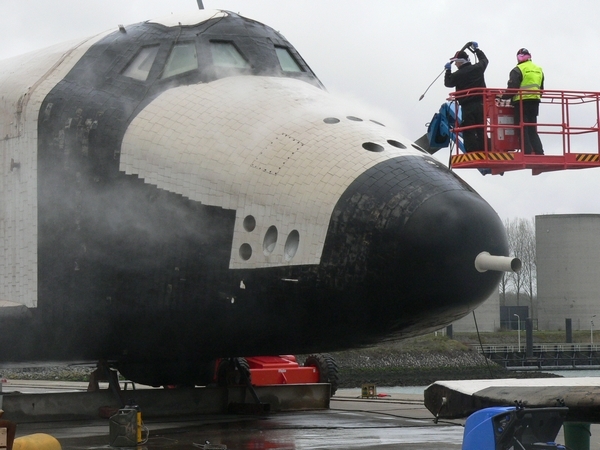 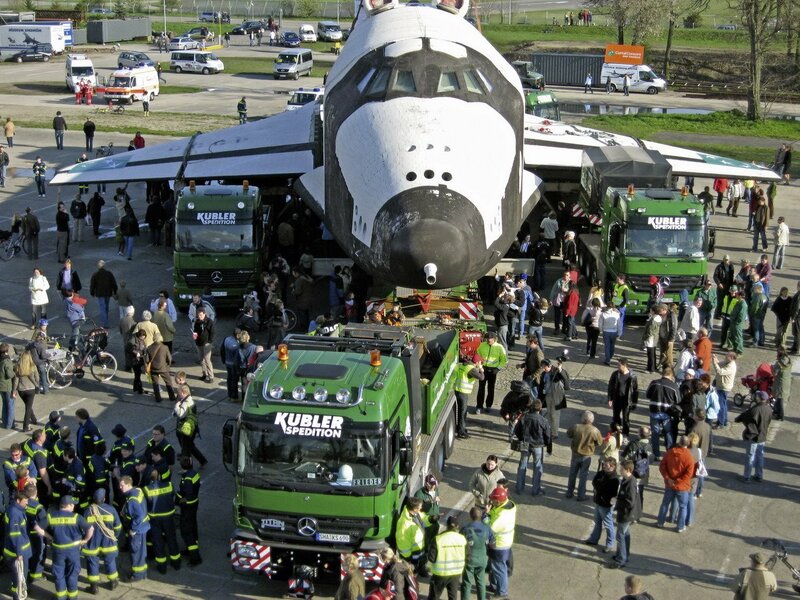 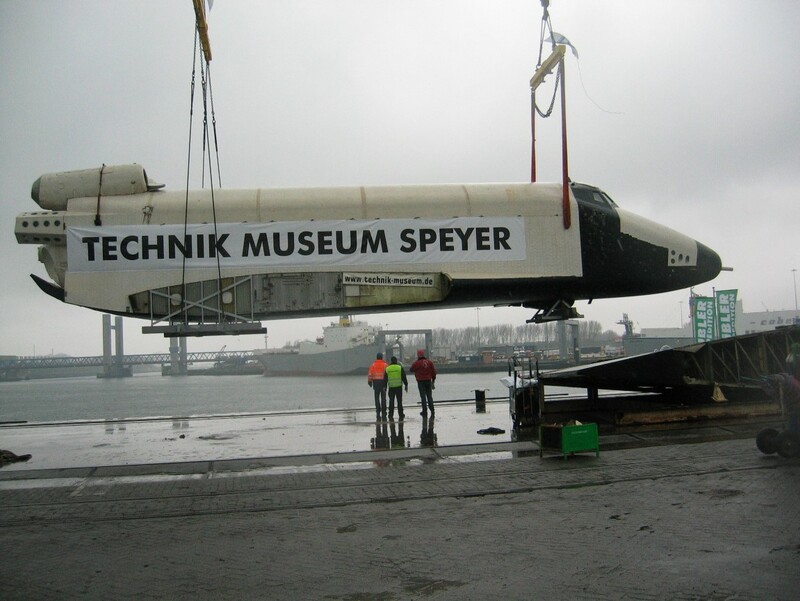 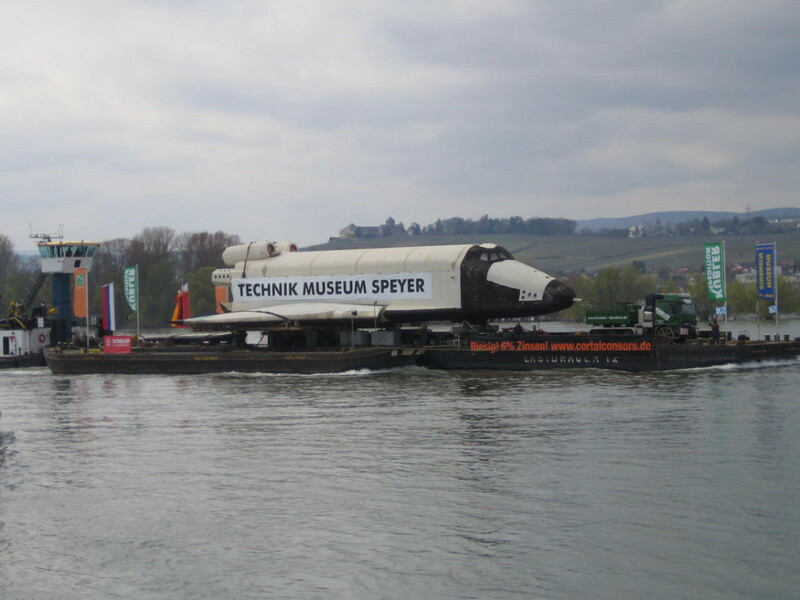 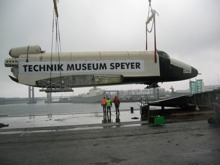 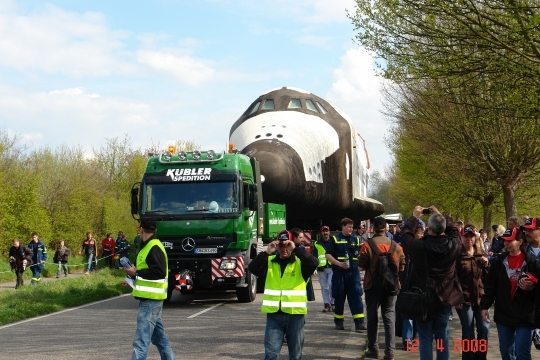 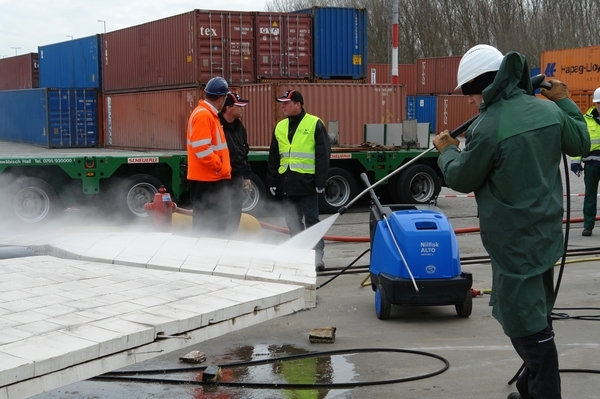 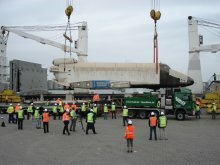 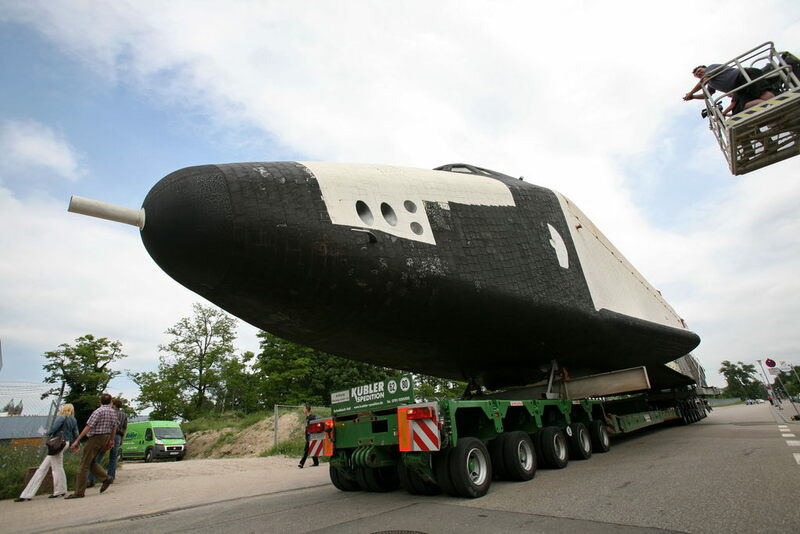 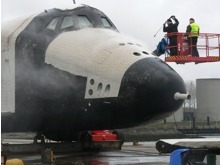 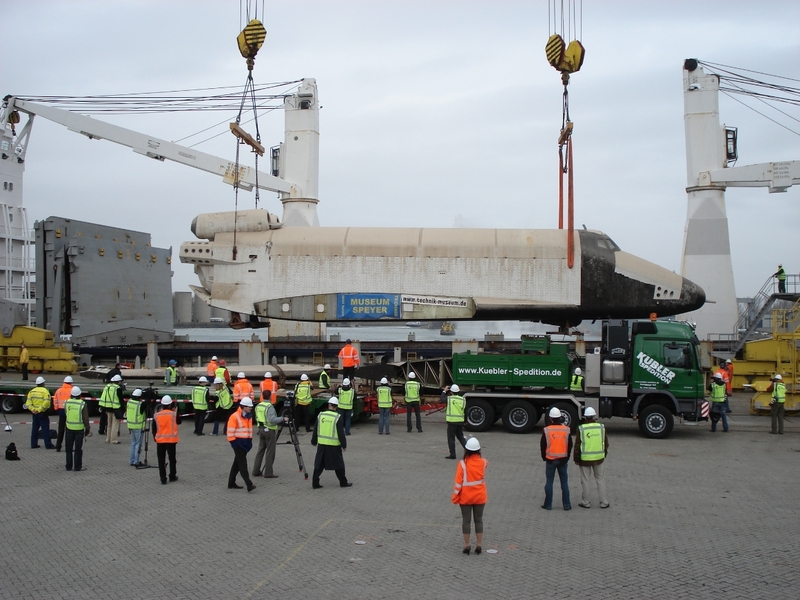 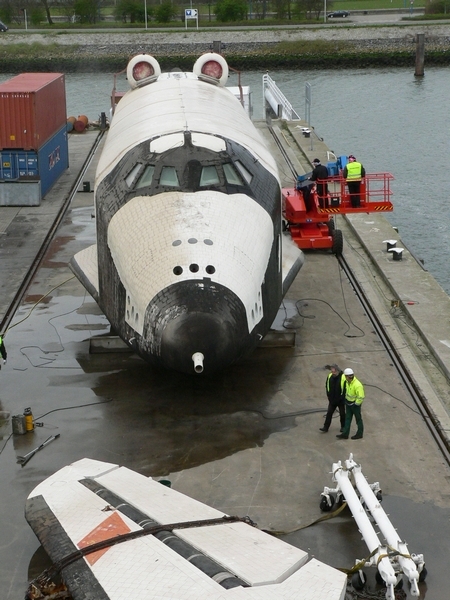 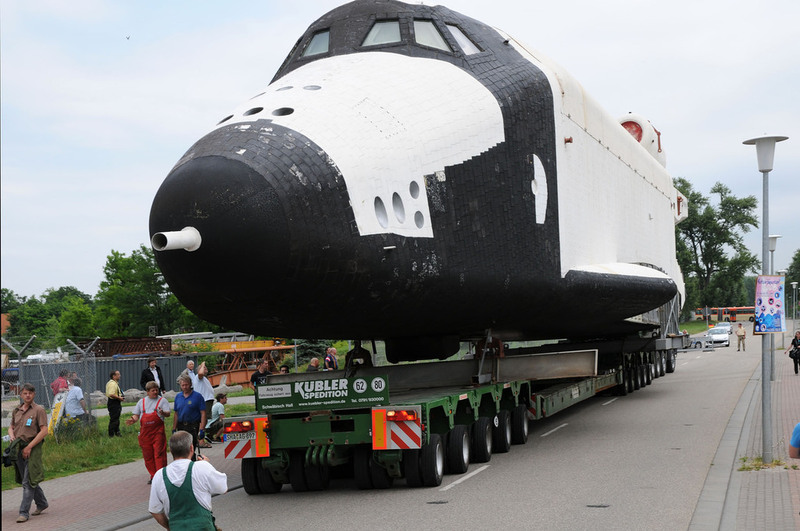 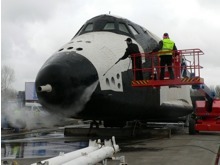 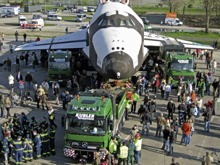 Saturday, April 12: Unloading of the shuttle at the port, then transport to the Speyer museum by truck. 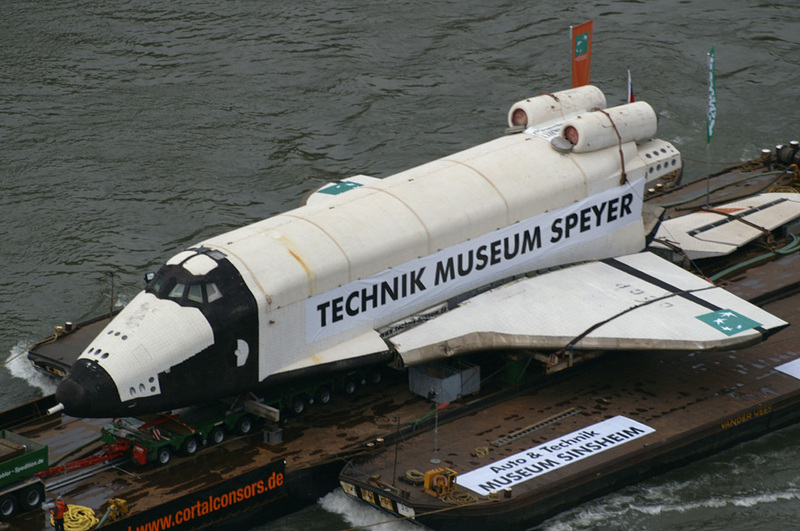 Thanks to all photographers: cagiva906, voene, roessler, vrossum, weinmann, weltmann, sesterhenn, gierden, pilger, zanettin, koch, franz, fischer. 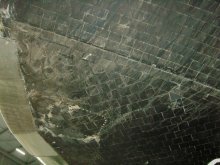 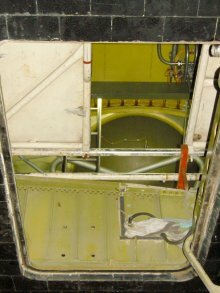 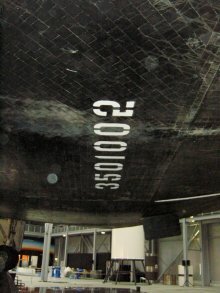 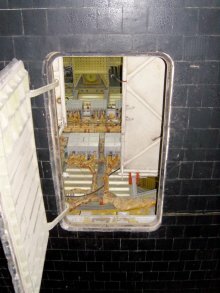 Entrance of the shuttle in the museum. 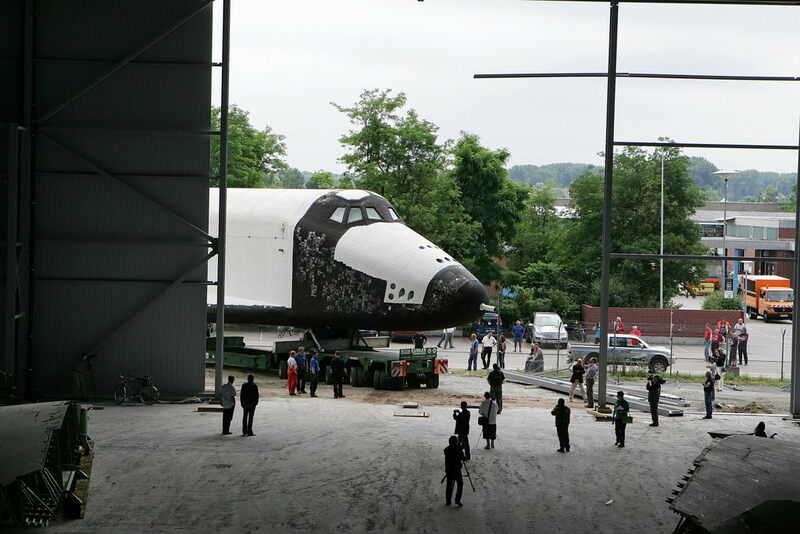 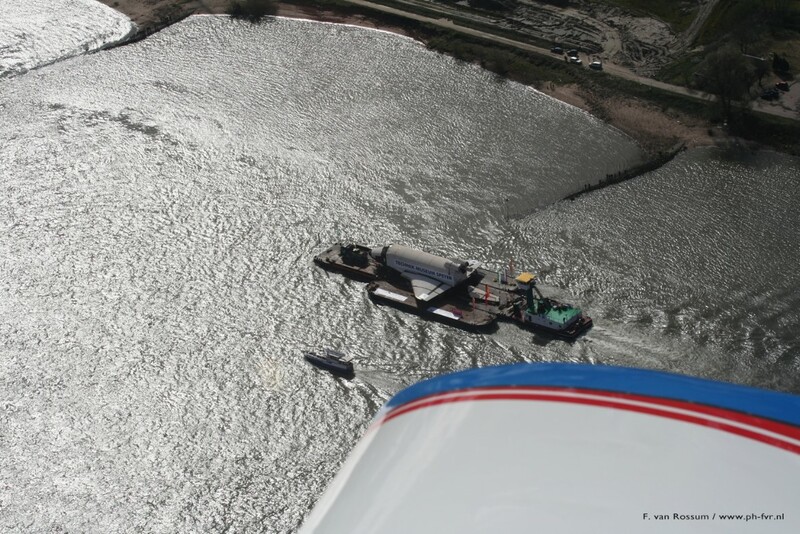 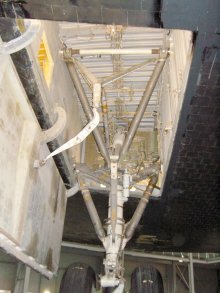 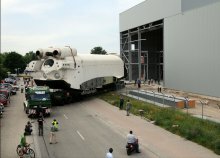 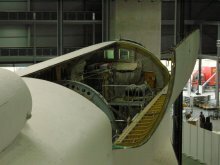 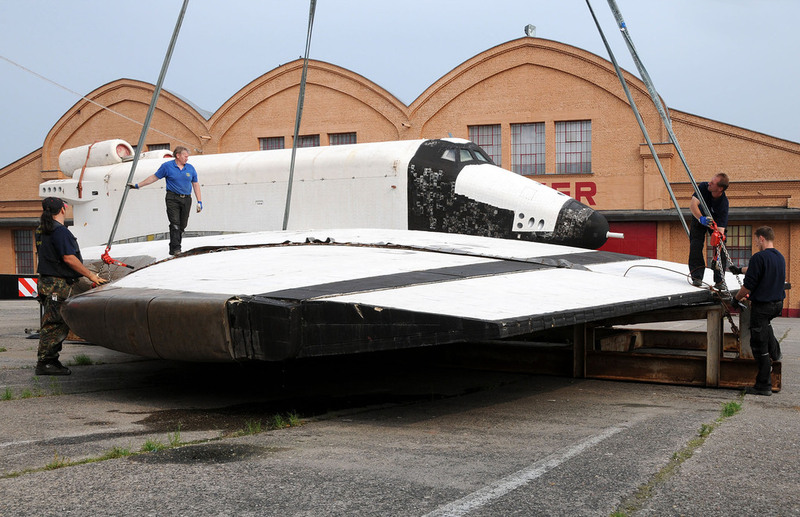 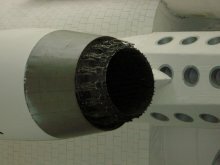 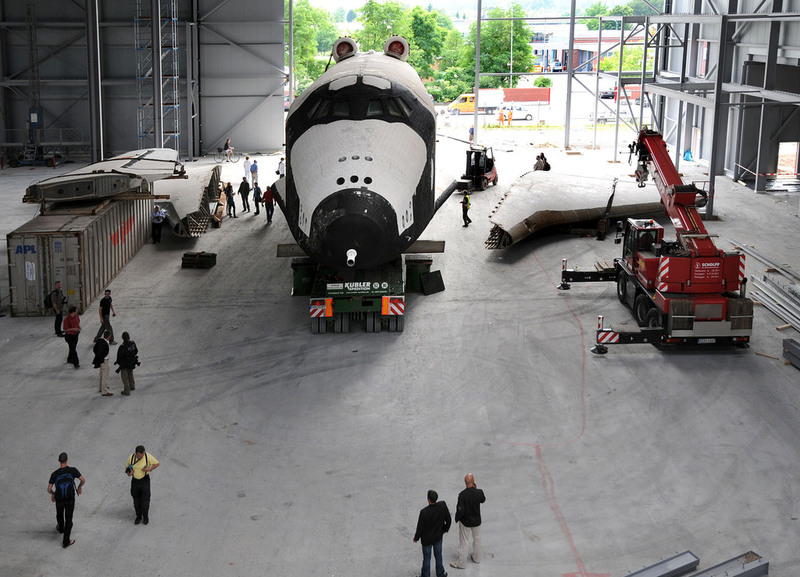 On Wednesday, June 11 the shuttle was carried in the exhibition building (in separates pieces). 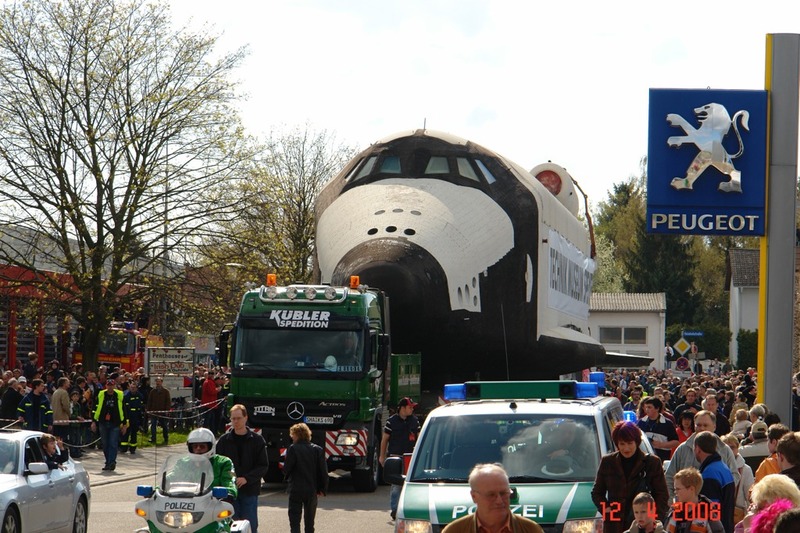 The shuttle at the opening of the new building. 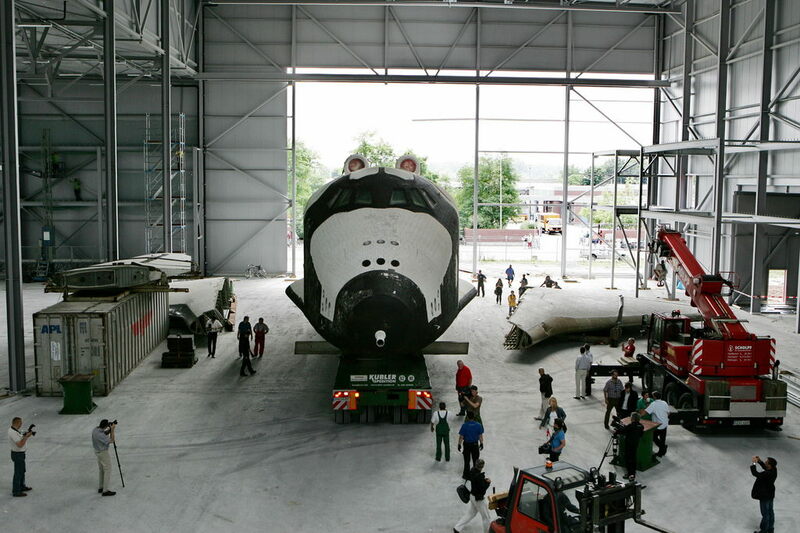 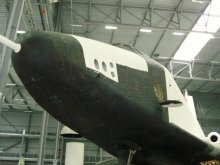 This building about space opened on wednesday 3, october 2008, after months of renovation the shuttle is shown to the public. 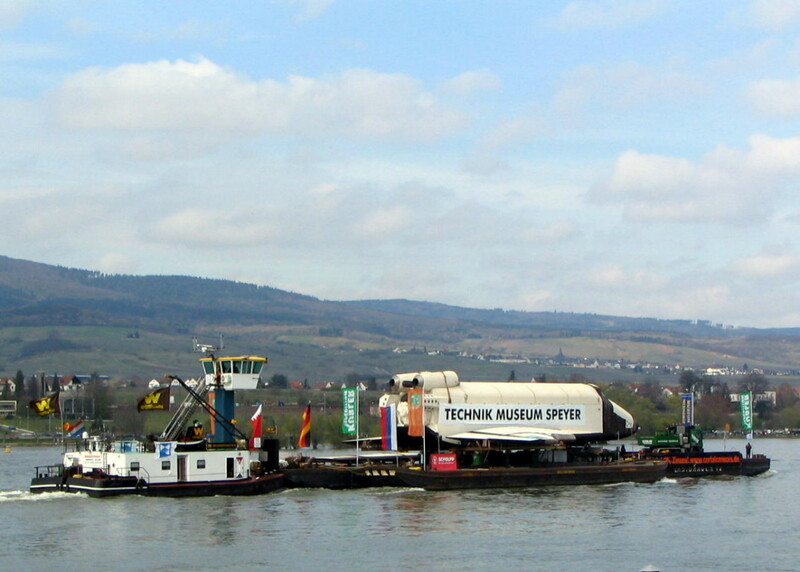 Other pictures of the building and the museum.